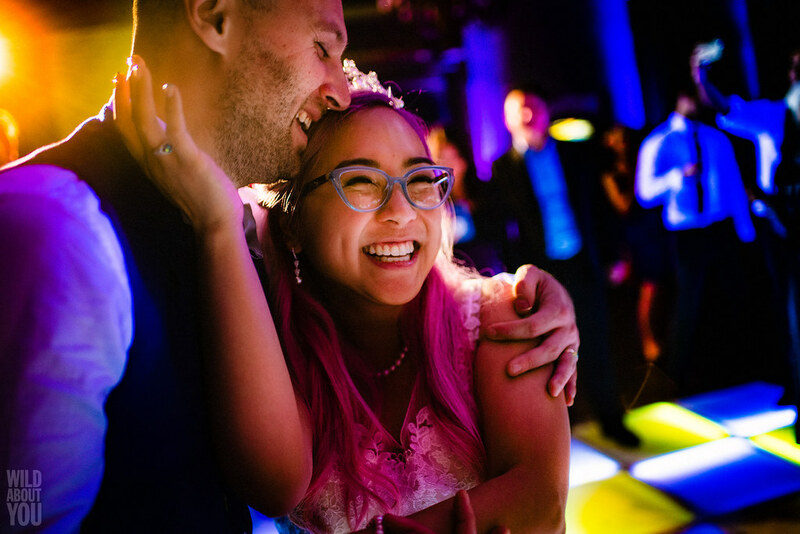 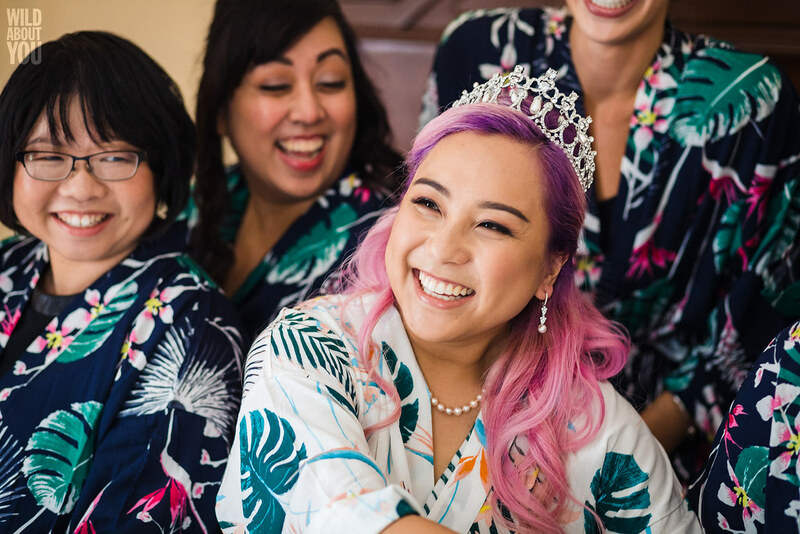 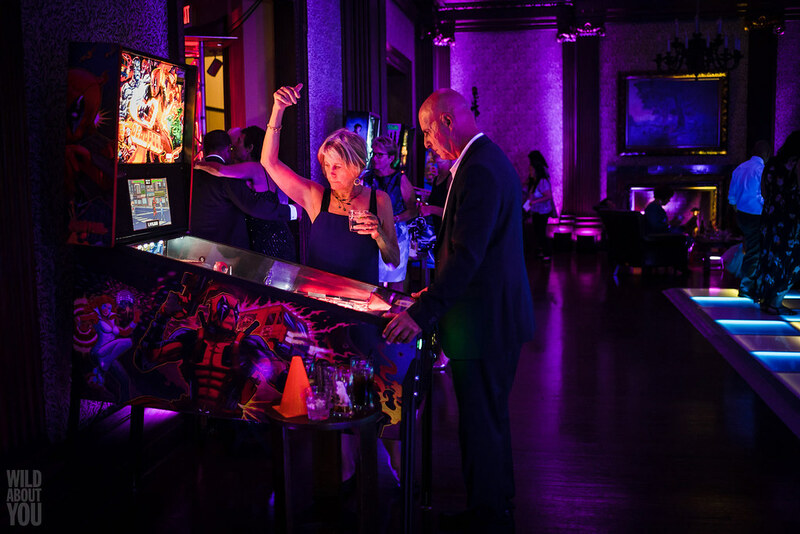 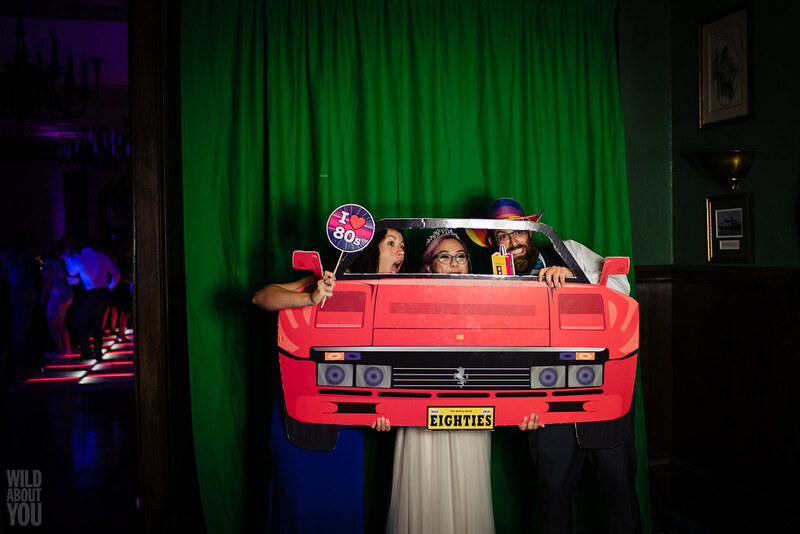 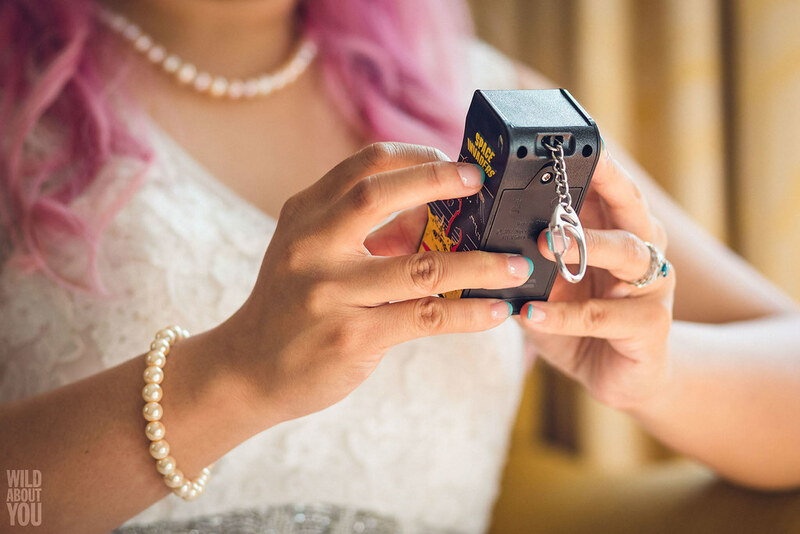 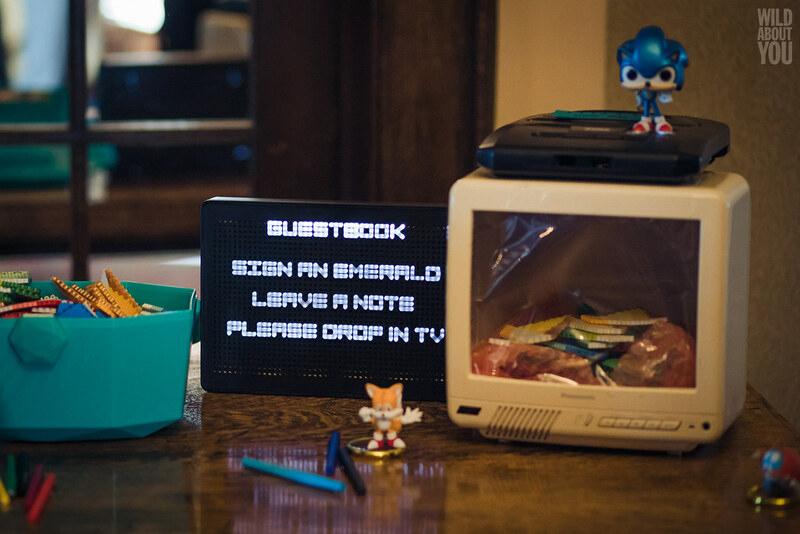 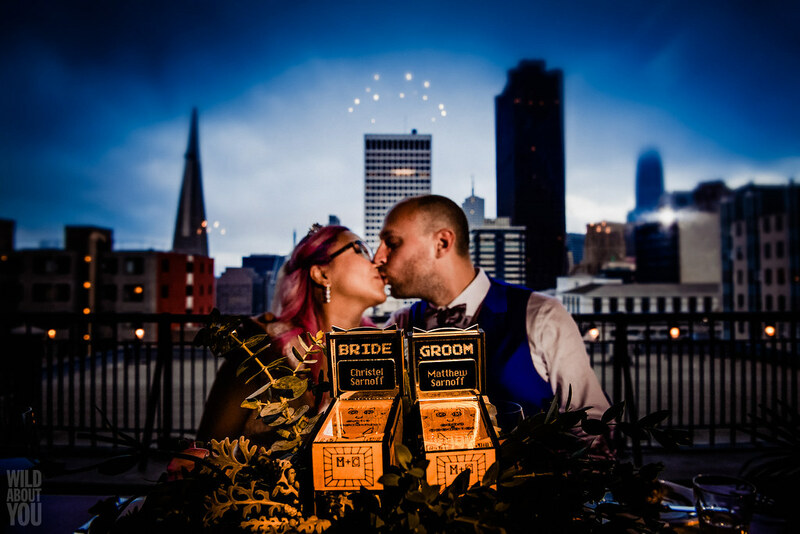 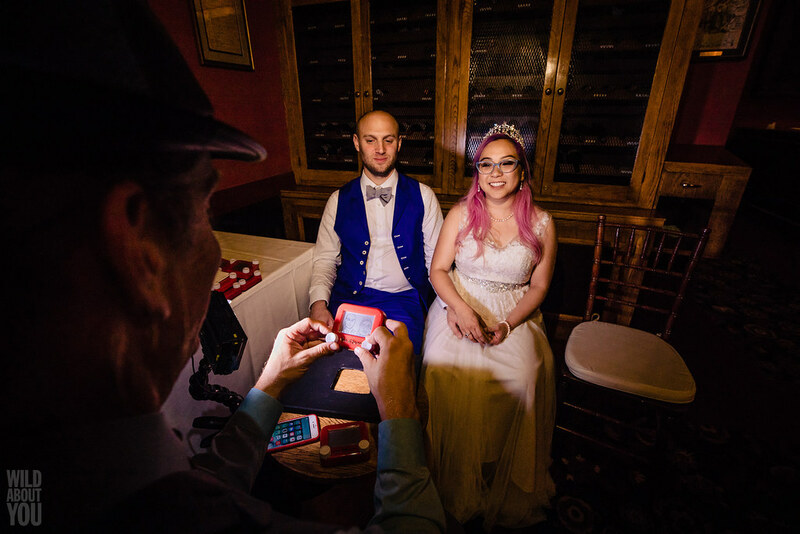 When Seattleites Christel and Matt powered up a pair of original Game Boys during their engagement session and told us that they were planning to have pinball machines and assorted arcade games at their wedding, we squealed with excitement. 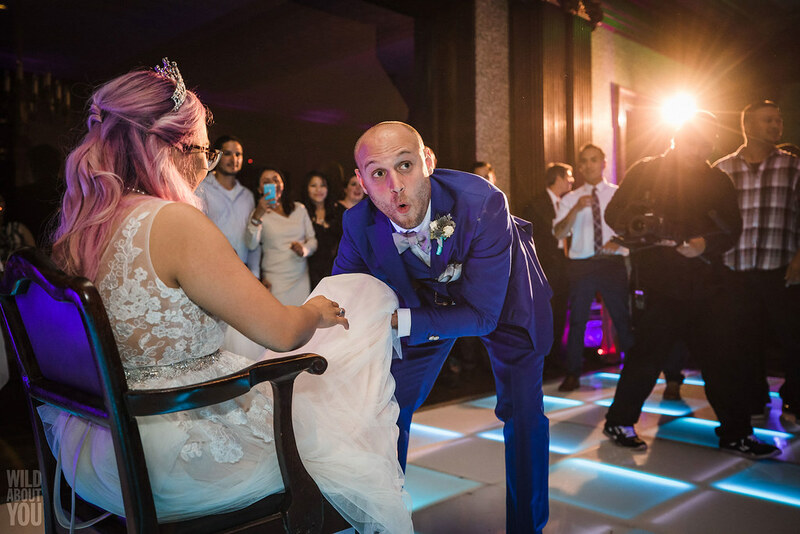 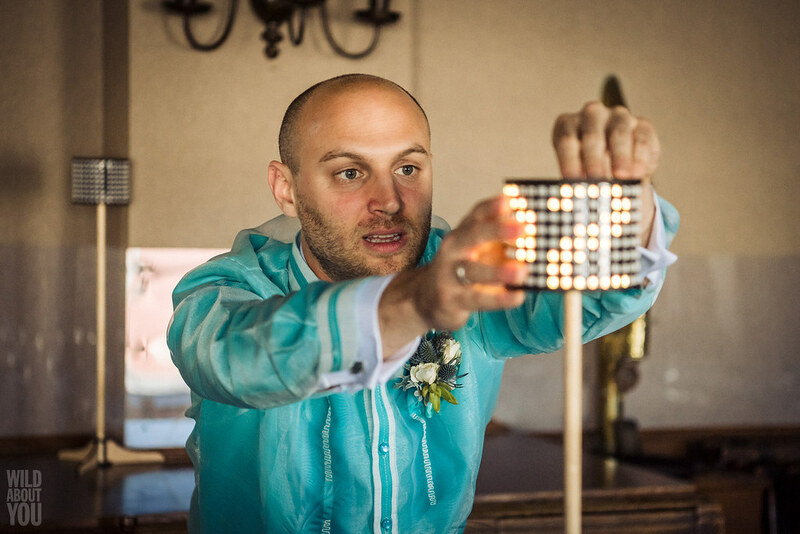 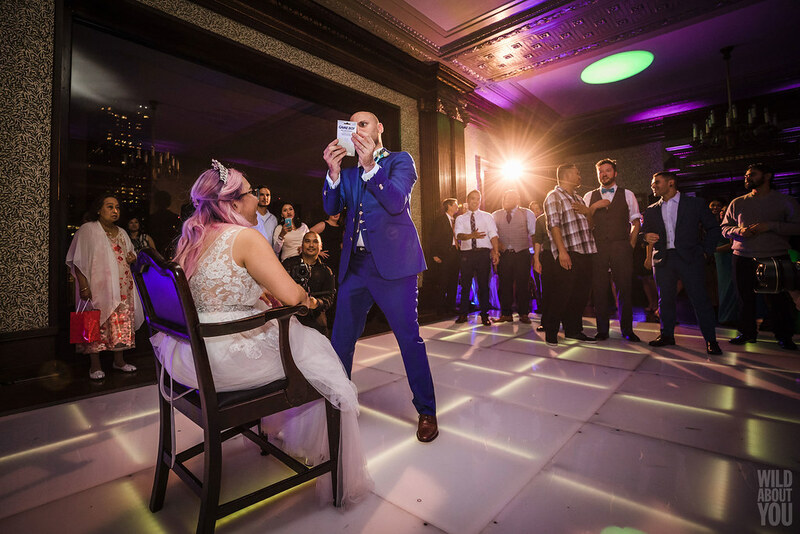 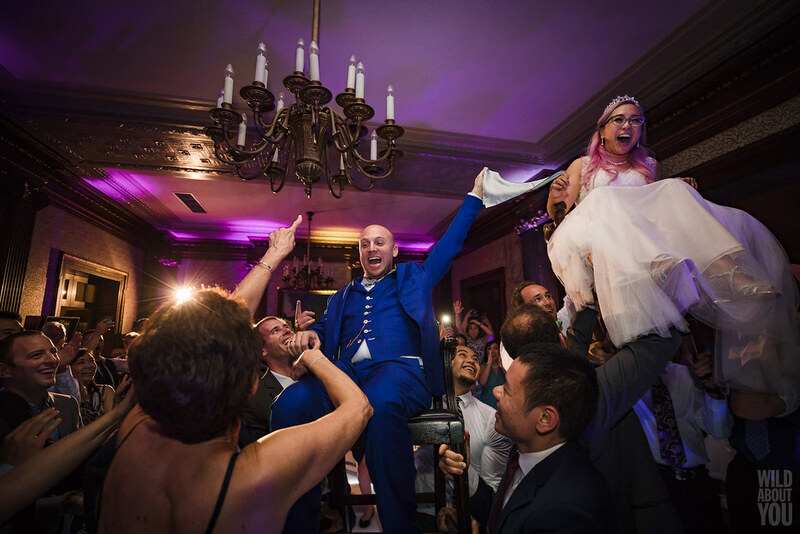 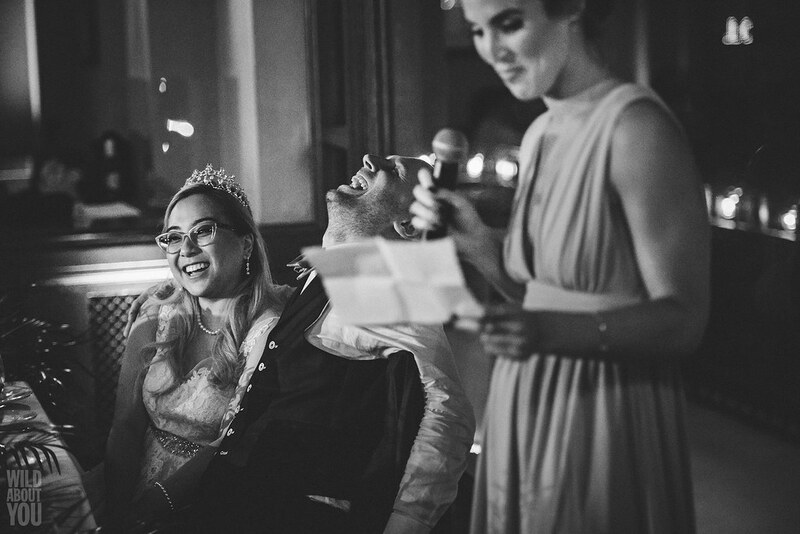 Little did we know how much this insanely talented and creative couple would blow our (and all their guests’) minds! 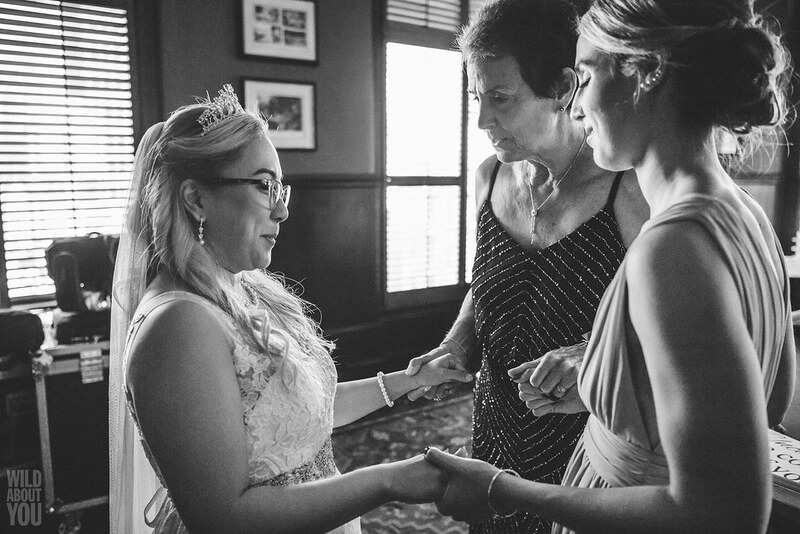 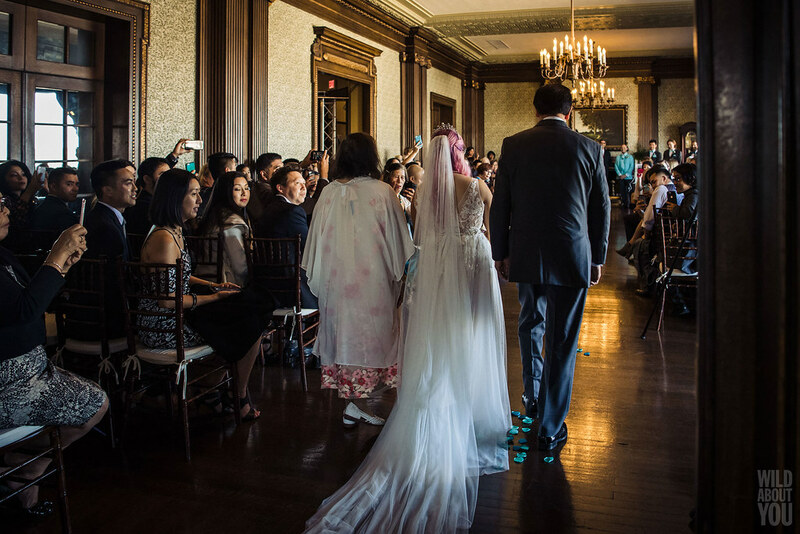 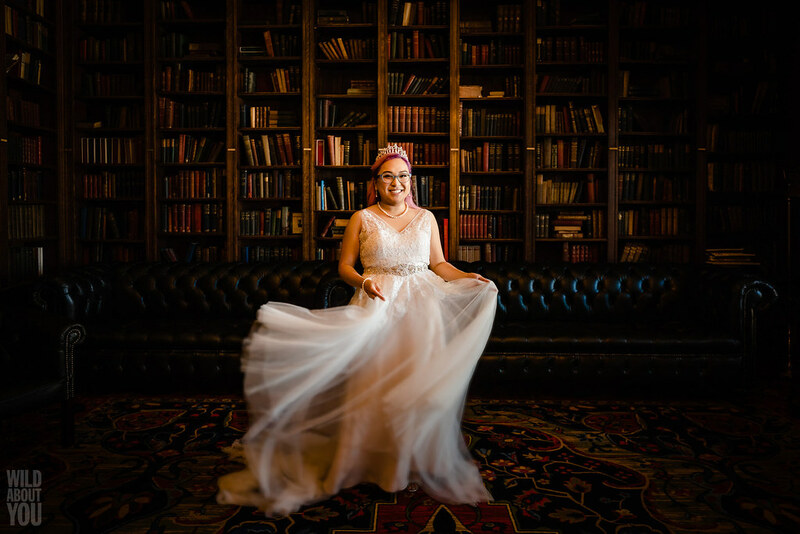 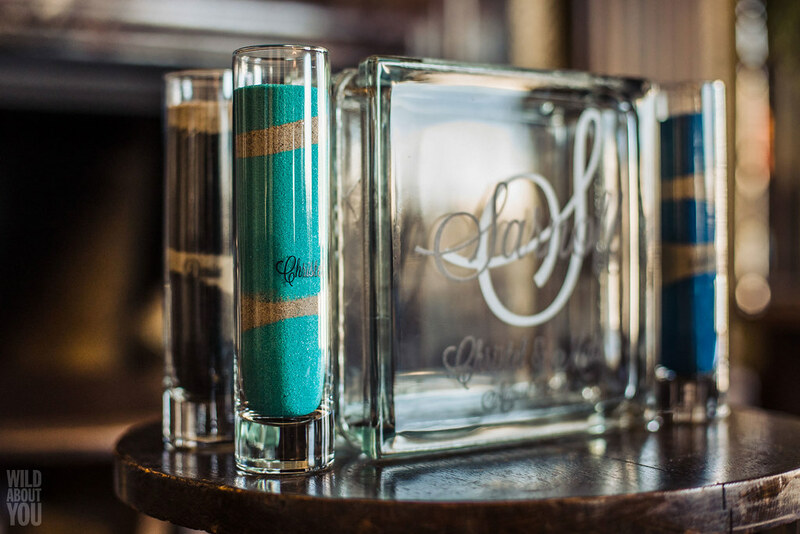 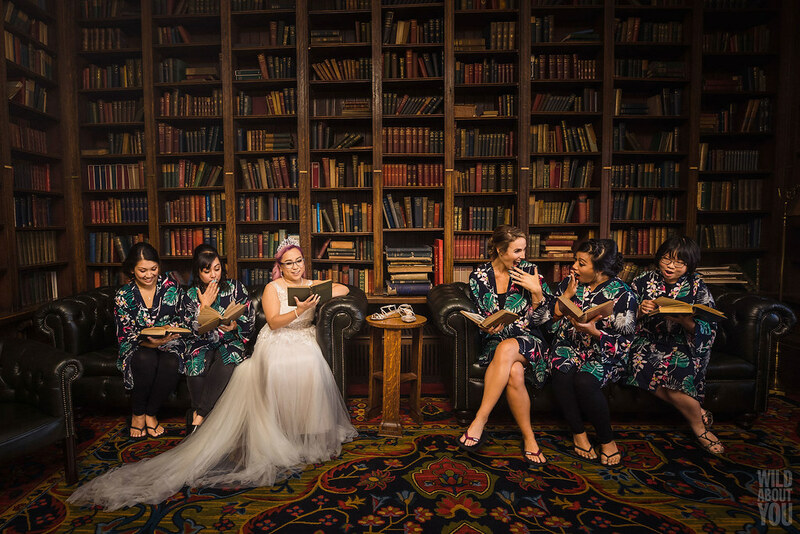 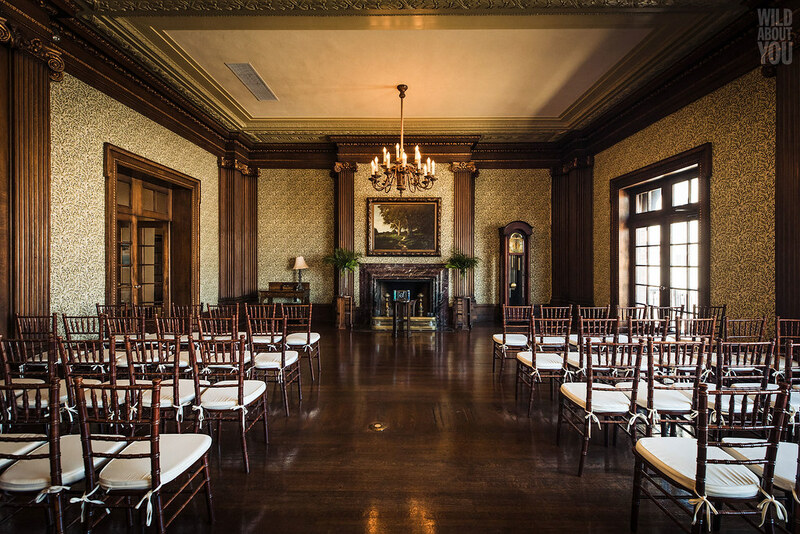 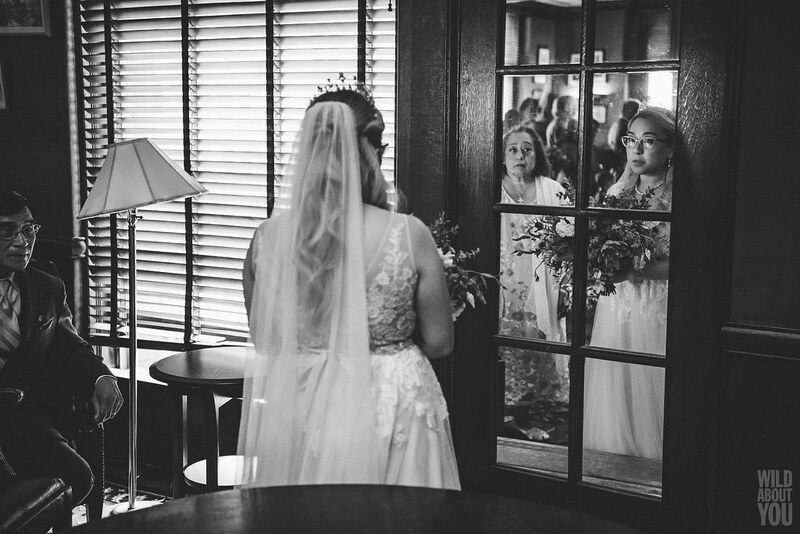 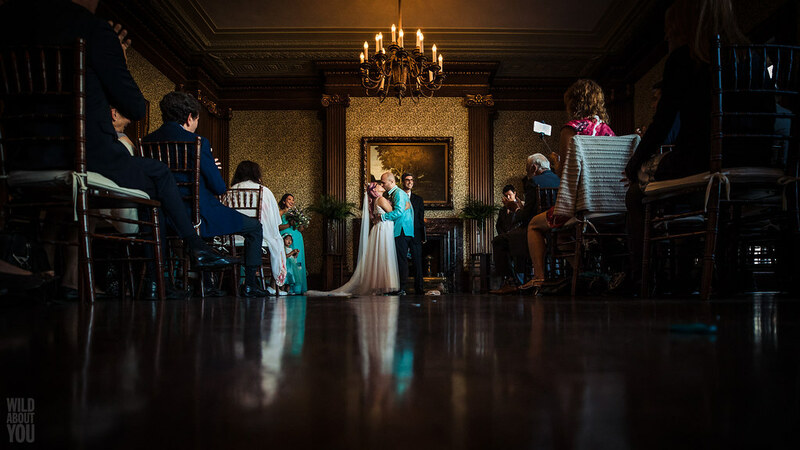 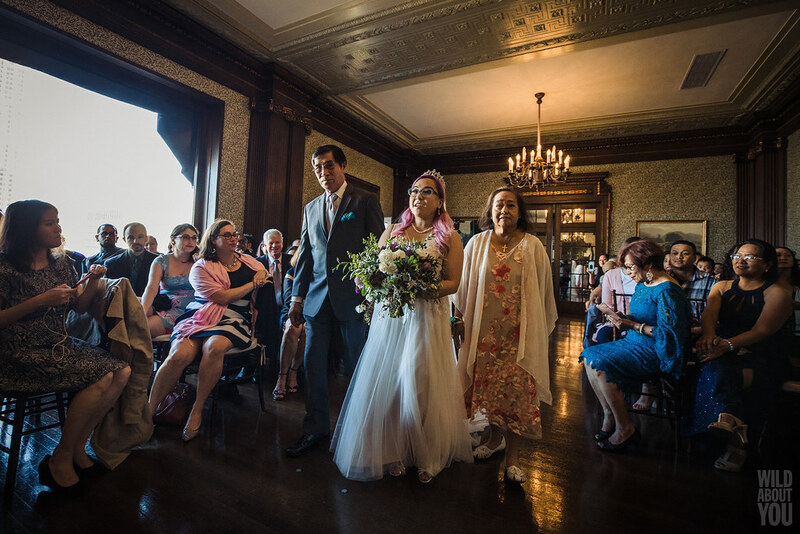 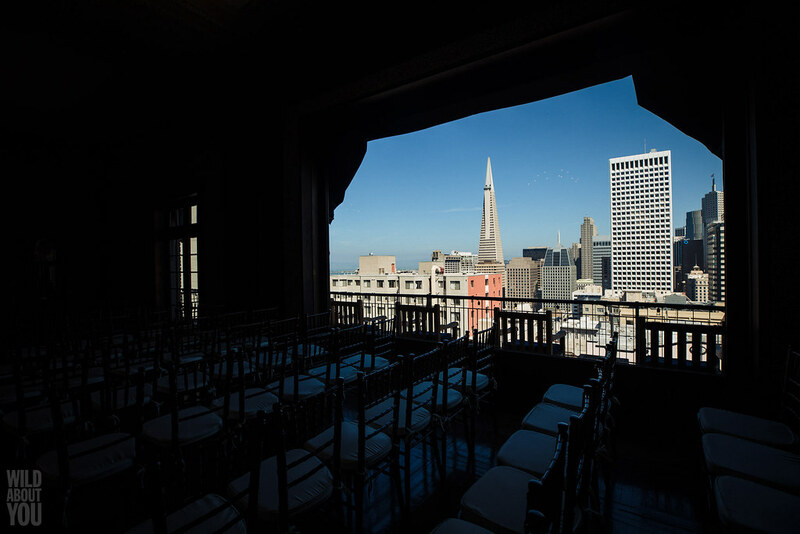 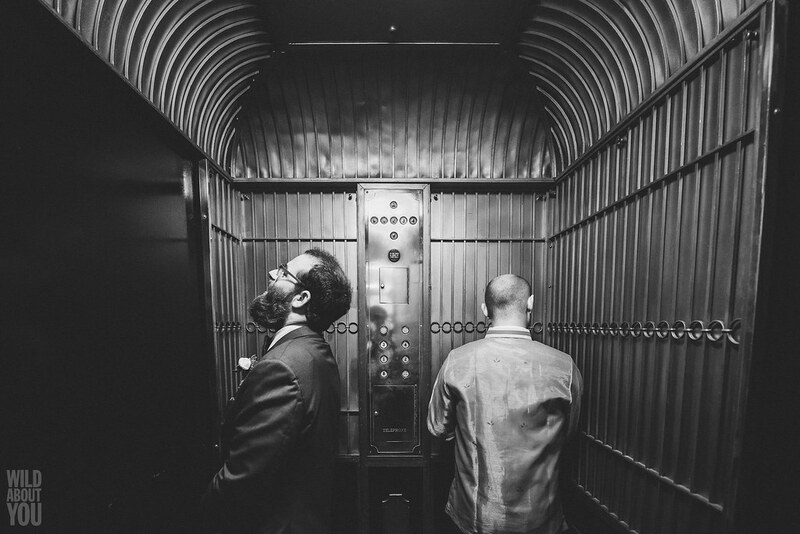 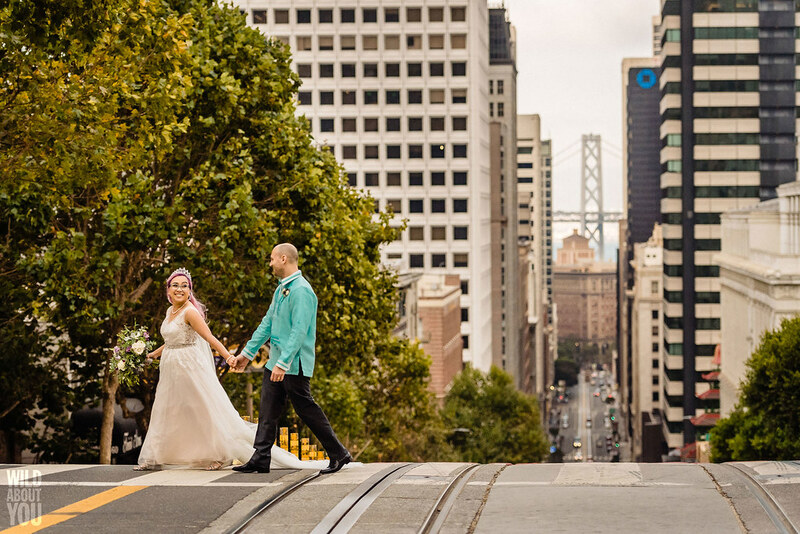 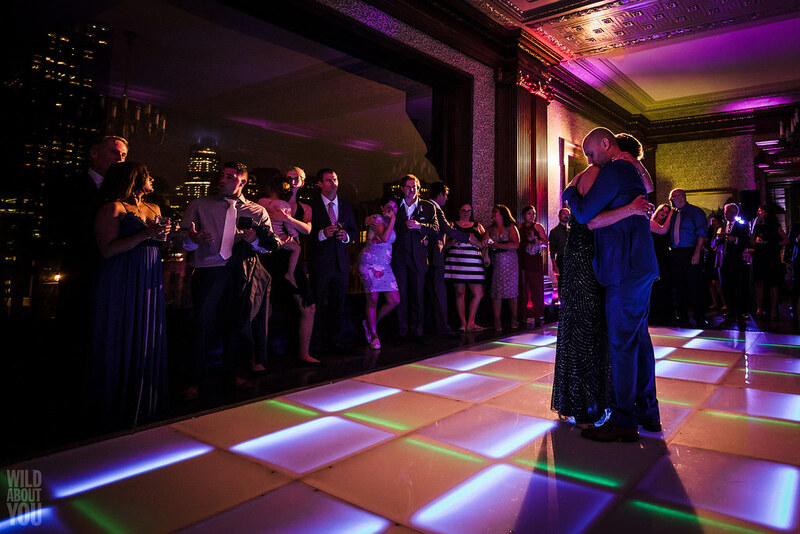 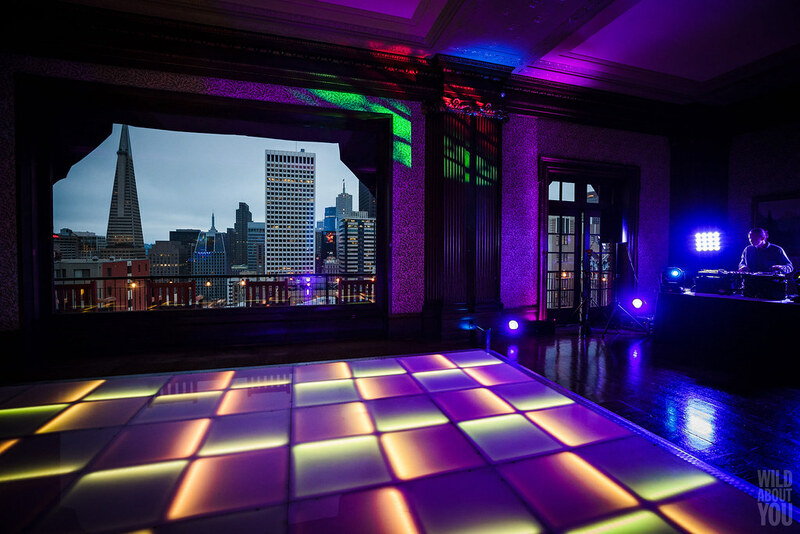 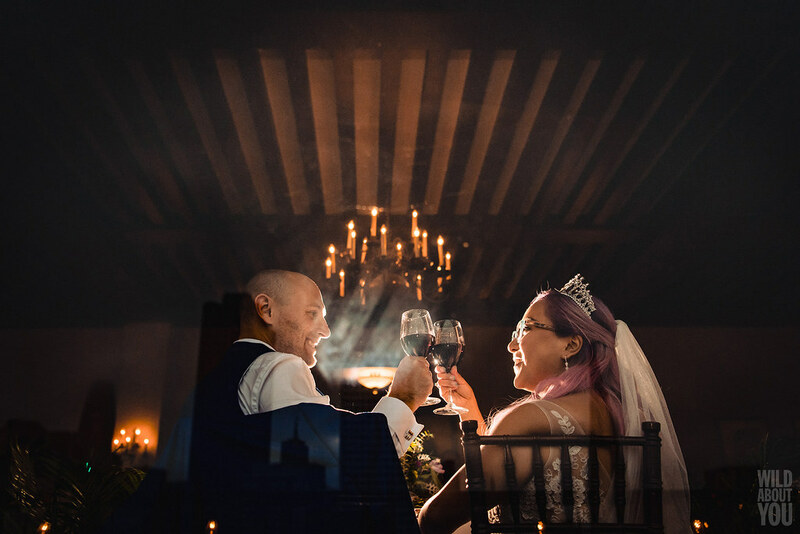 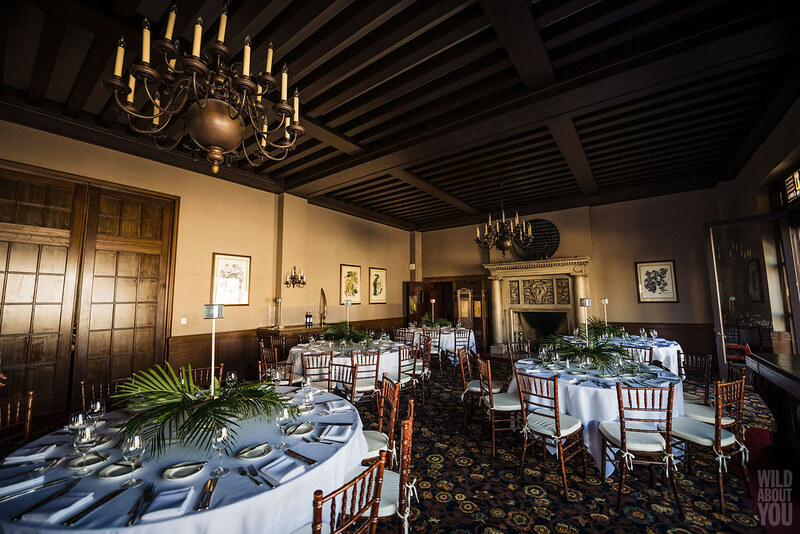 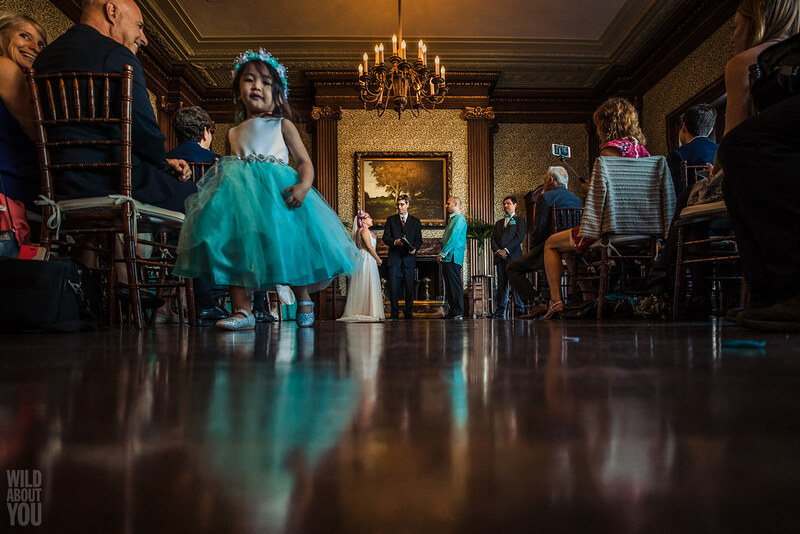 First of all, they chose the University Club of San Francisco for their special day. 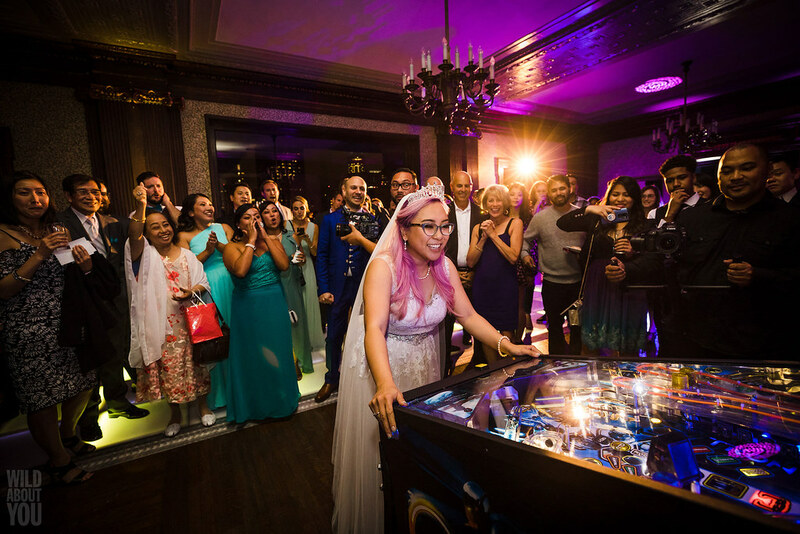 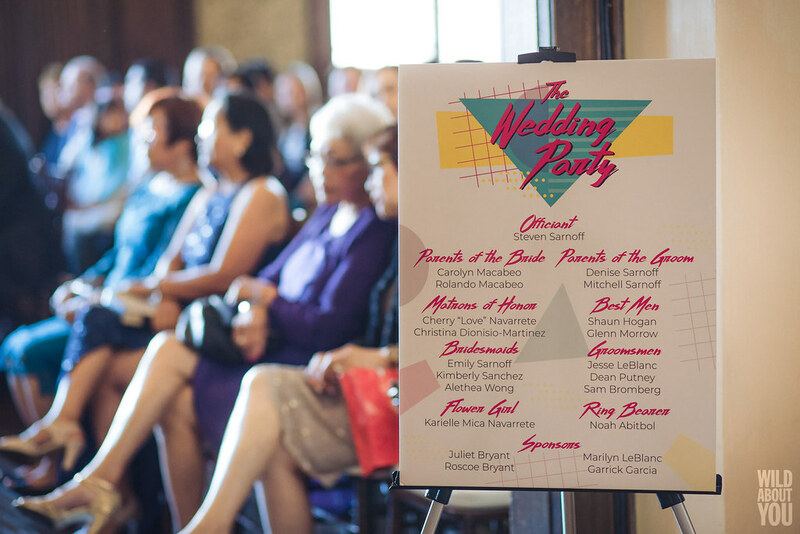 Built in the 1890s, it sits atop ritzy Nob Hill and seems like an unlikely spot for an ’80s arcade wedding. 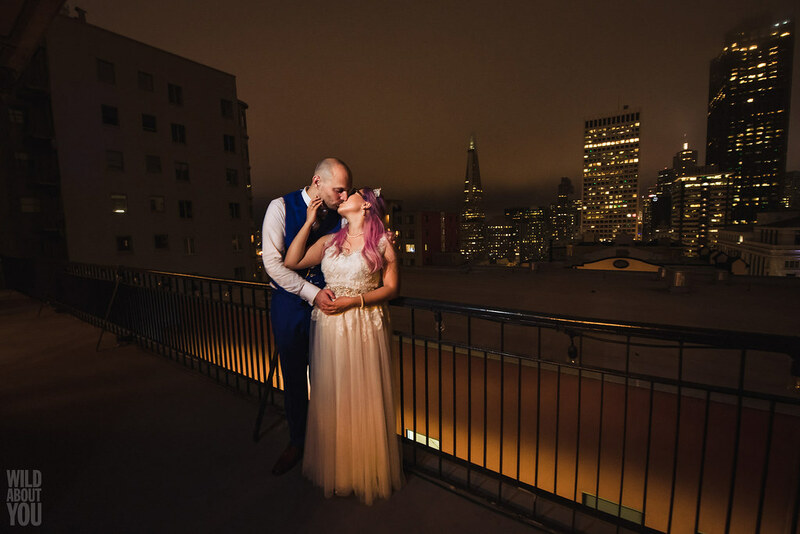 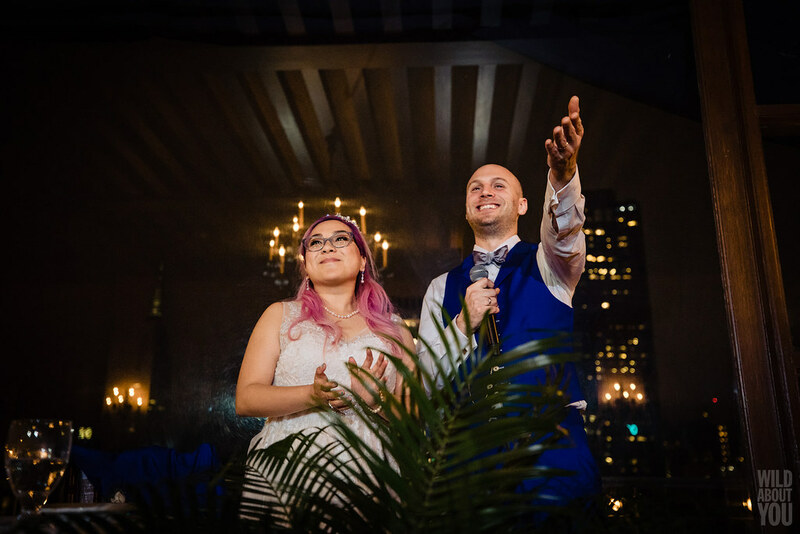 However, “We chose it for its amazing view of the San Francisco skyline, and we loved the idea of mashing up ’80s retro-futurism with turn-of-the-19th-century classic wood-and-leather style,” says Christel and Matt. 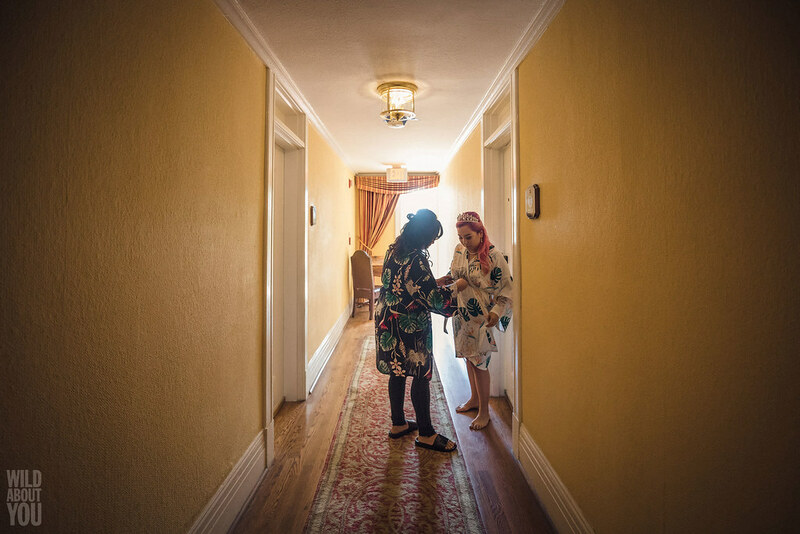 Then our couple showcased their sense of whimsy by pairing traditional looks with offbeat accents. 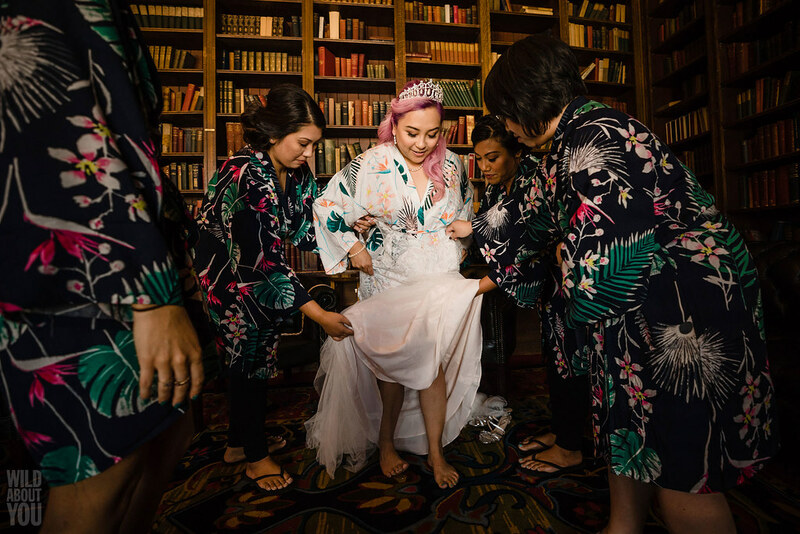 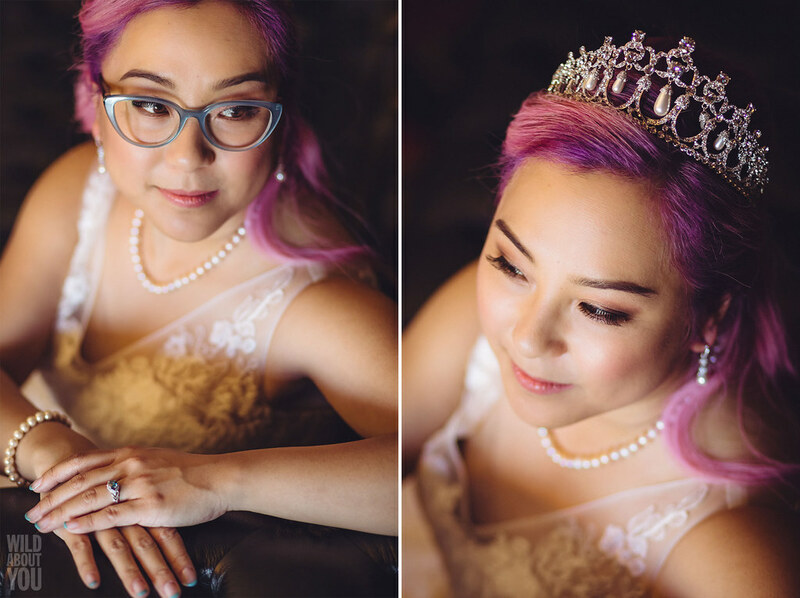 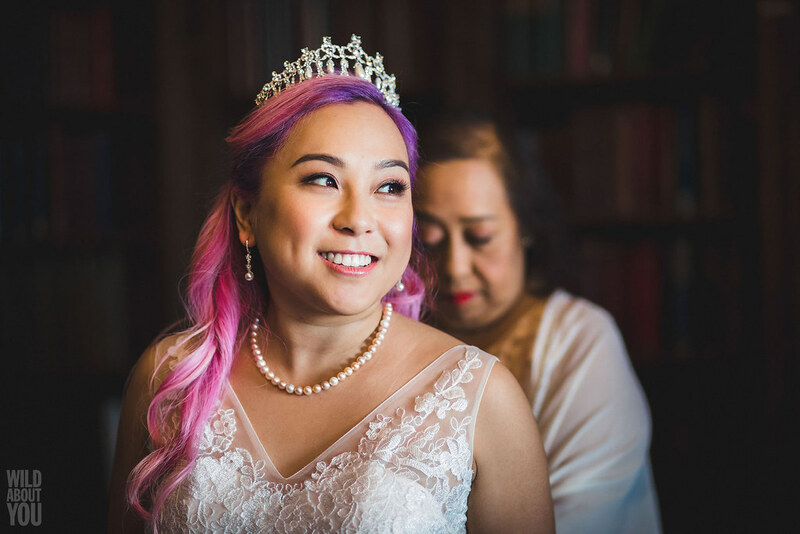 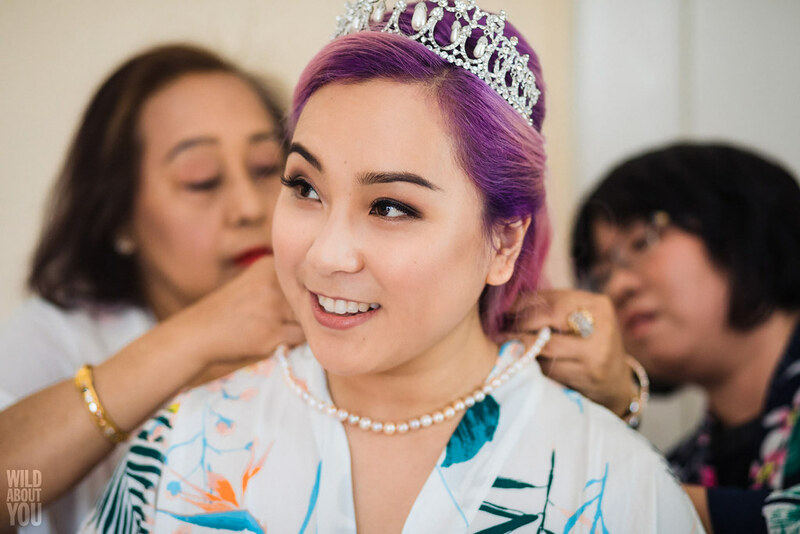 Christel positively sparkled in a lacy, toe-skimming white gown, pearls, pink ombre hair, a turquoise-tipped manicure, and a tiara. 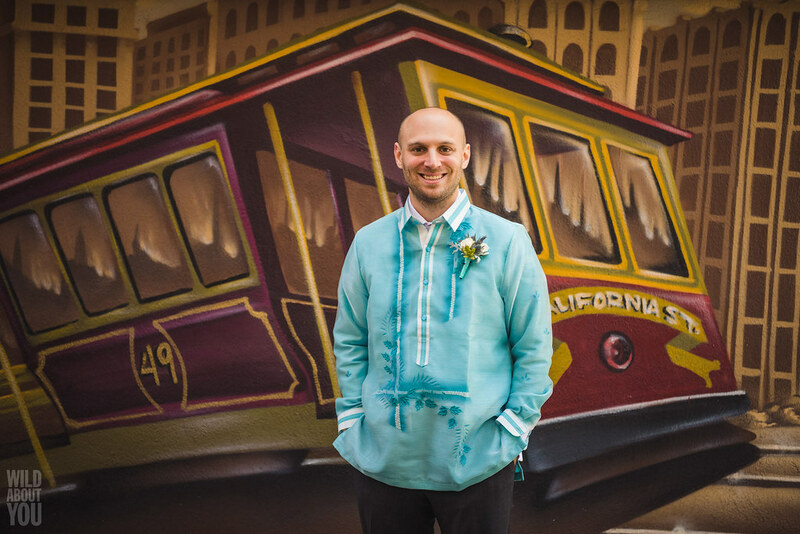 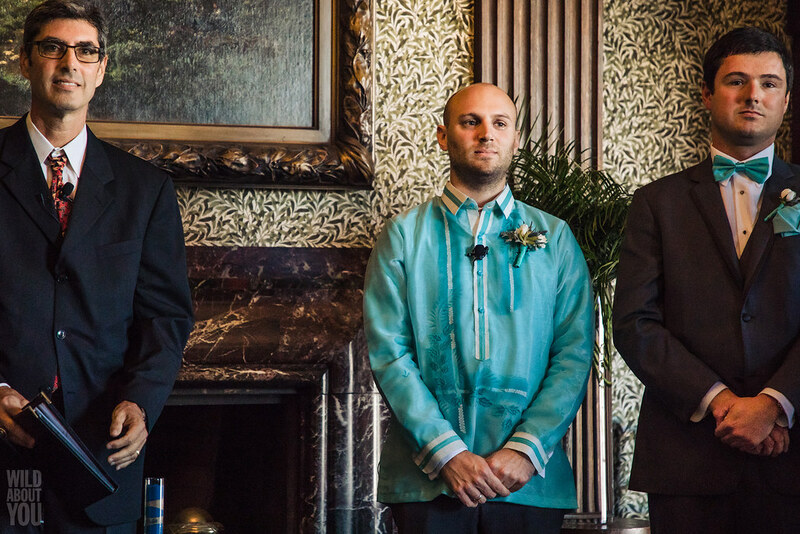 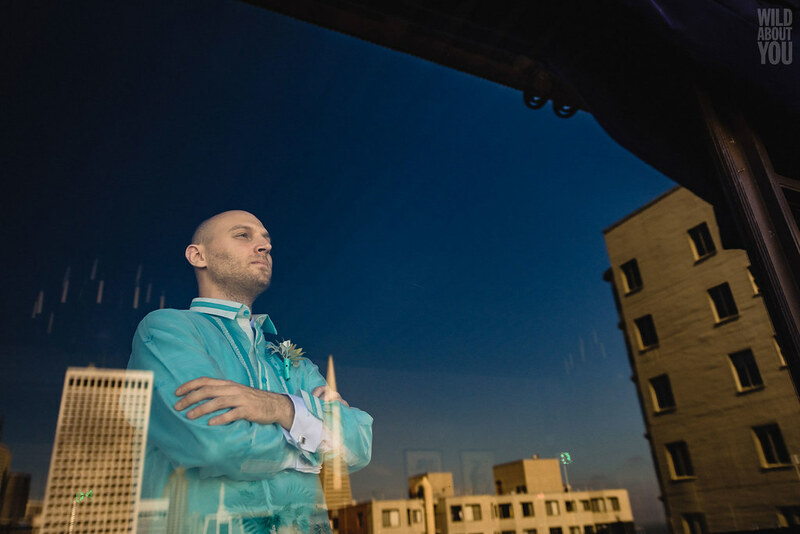 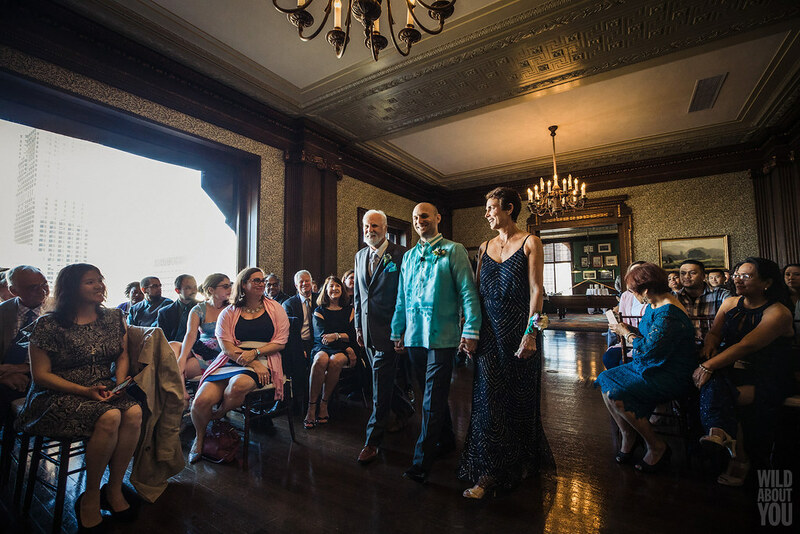 Matt opted for a turquoise barong tagalog (traditional Filipino dress shirt) for the ceremony and a navy suit for the reception. 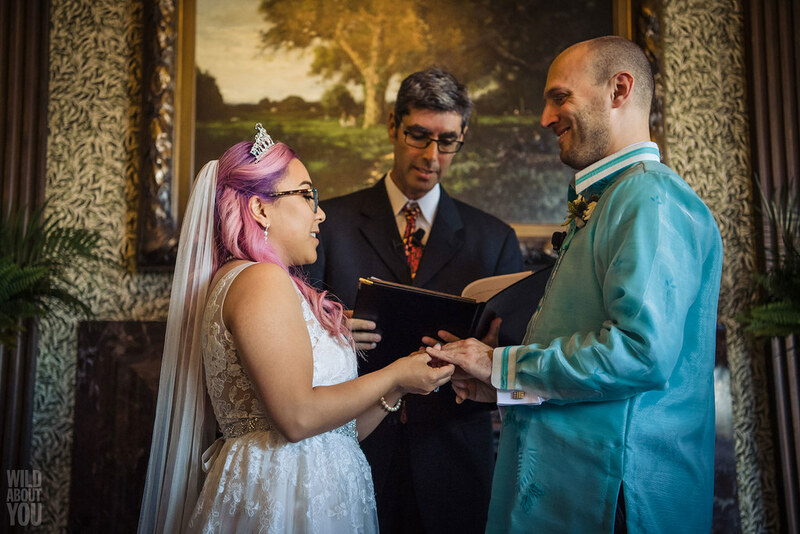 If that wasn’t enough, they made each other’s rings! 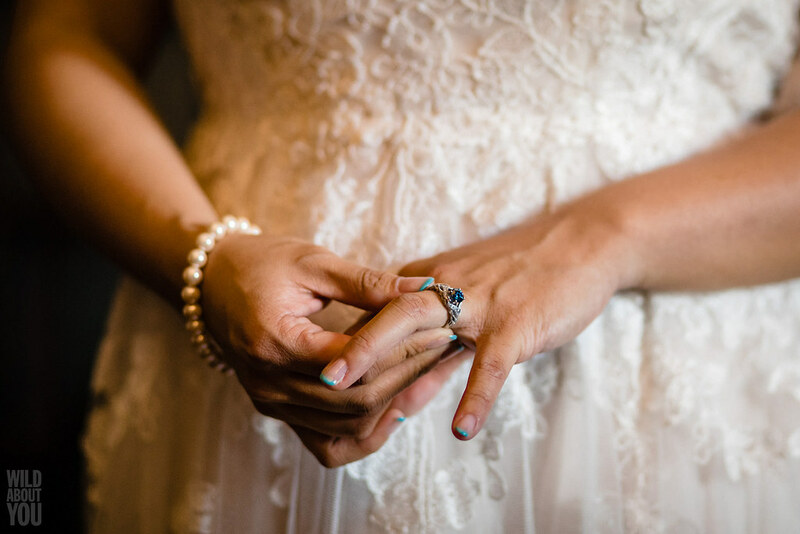 “We took a day trip from Seattle to Port Townsend, WA, for a ring-making workshop with With These Rings,” they say. 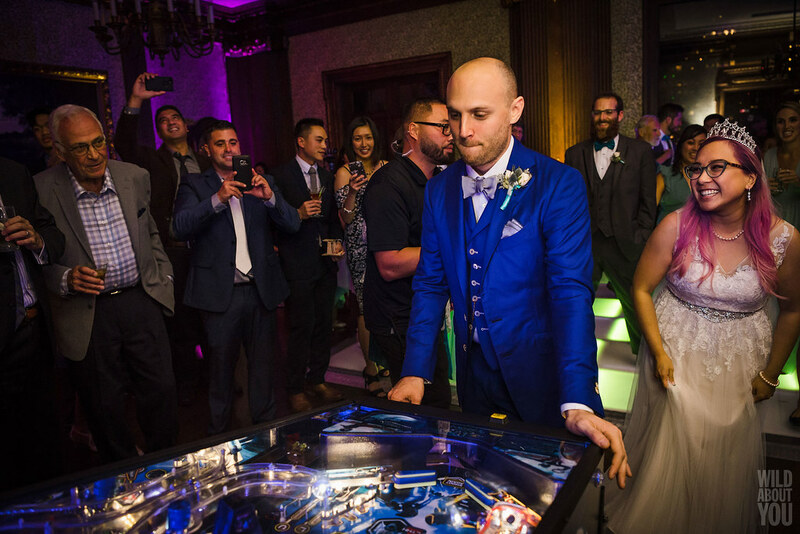 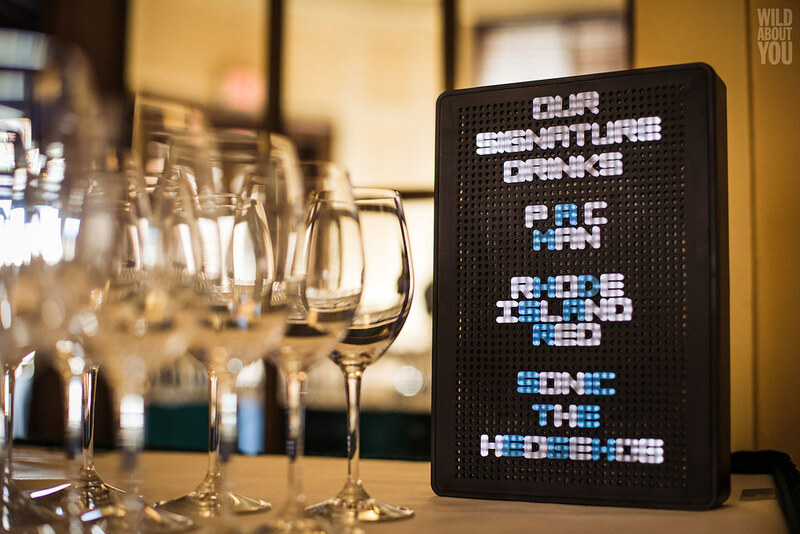 They also designed and made custom mini pinball machine favors for each guest. 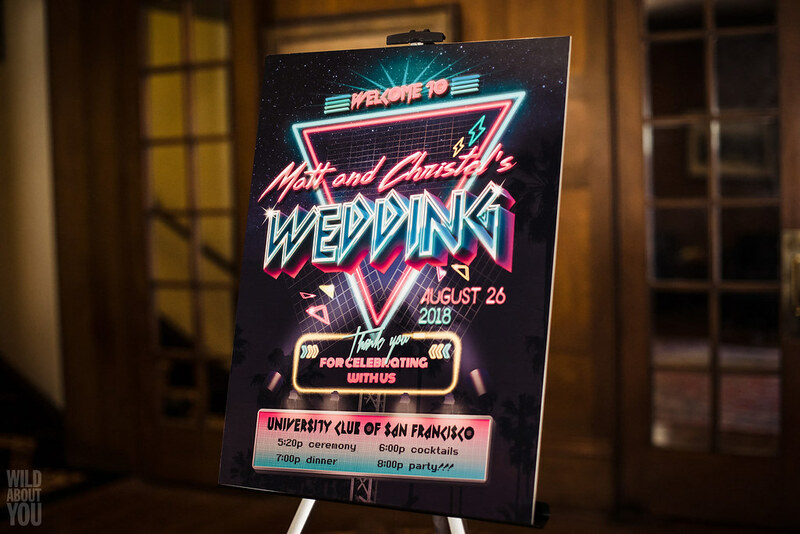 Somehow, Christel still had time to crochet their cake (ok, gluten-free donut) toppers and design the totally awesome invitations and signs, while Matt designed and built LED table numbers (“each one used a flexible LED display and a custom circuit inside a laser-cut wooden frame,” explains Matt). 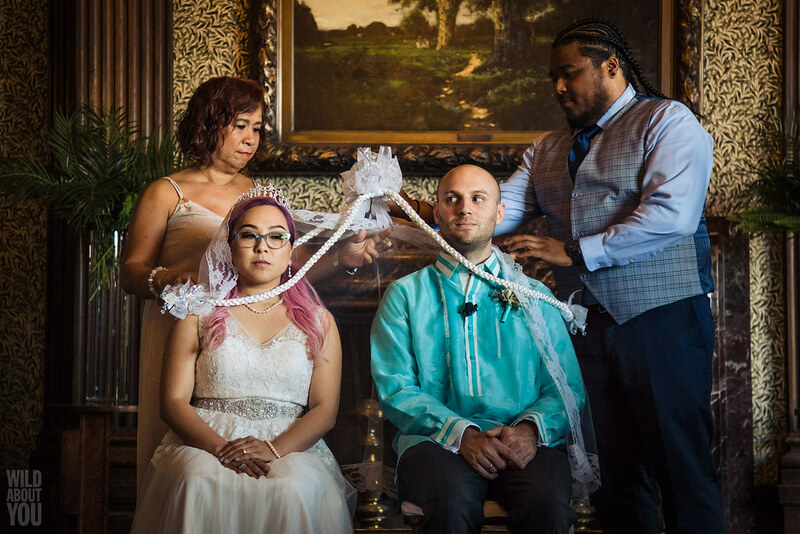 Their family and friends were equally crafty. 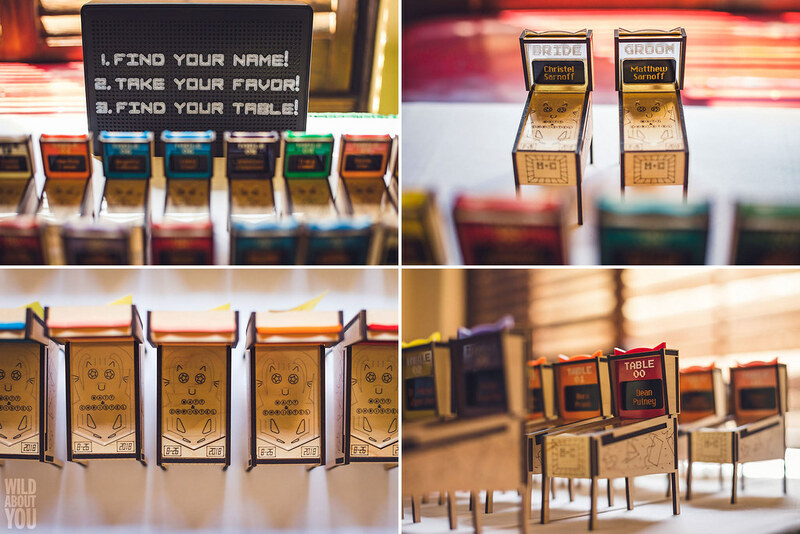 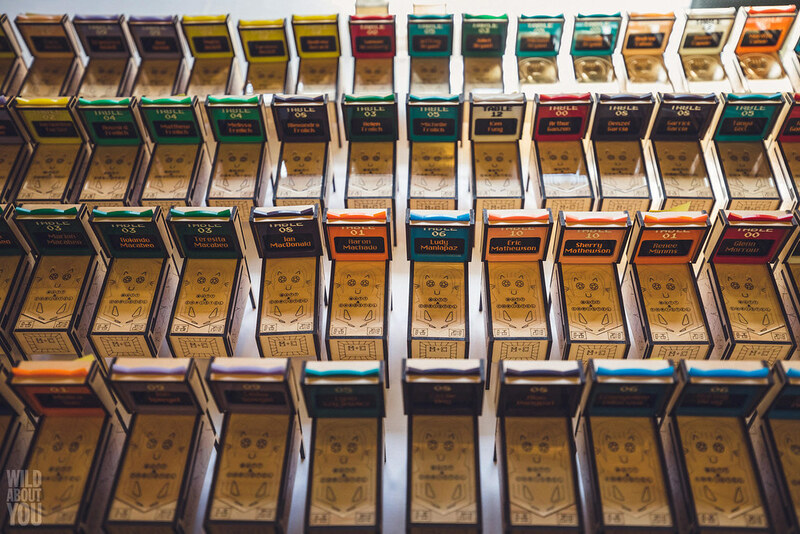 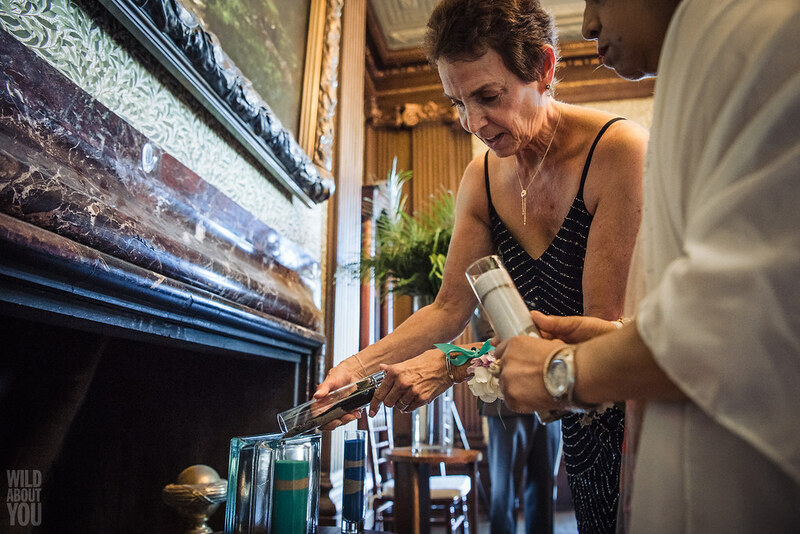 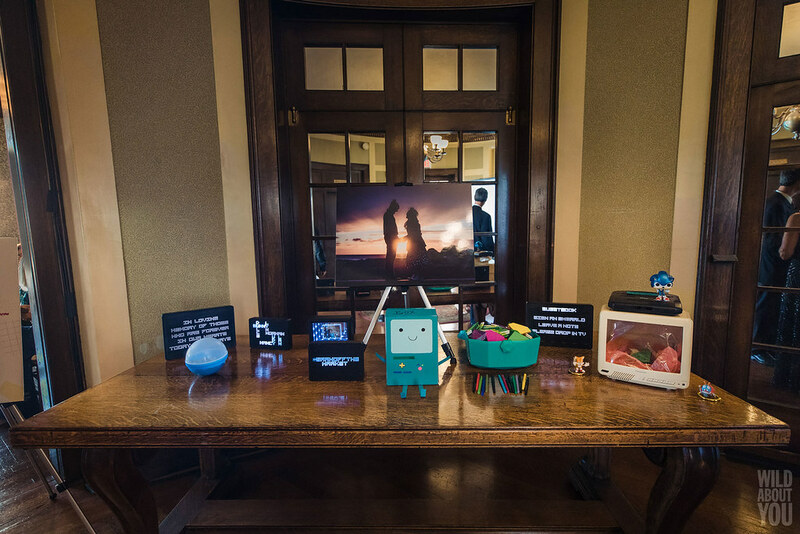 Christel’s cousin Jeff Bryant created a cool interactive art installation for them, while Christel’s matron of honor Christina constructed a BMO card box based on a picture Christel showed her. 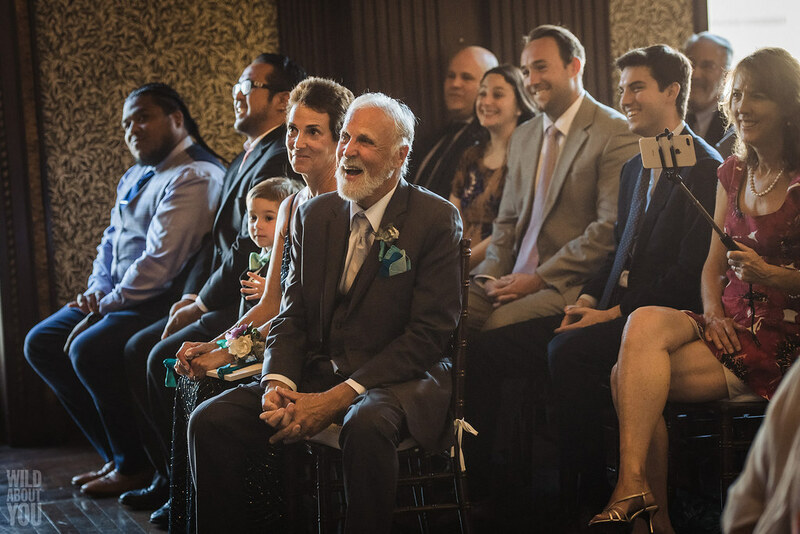 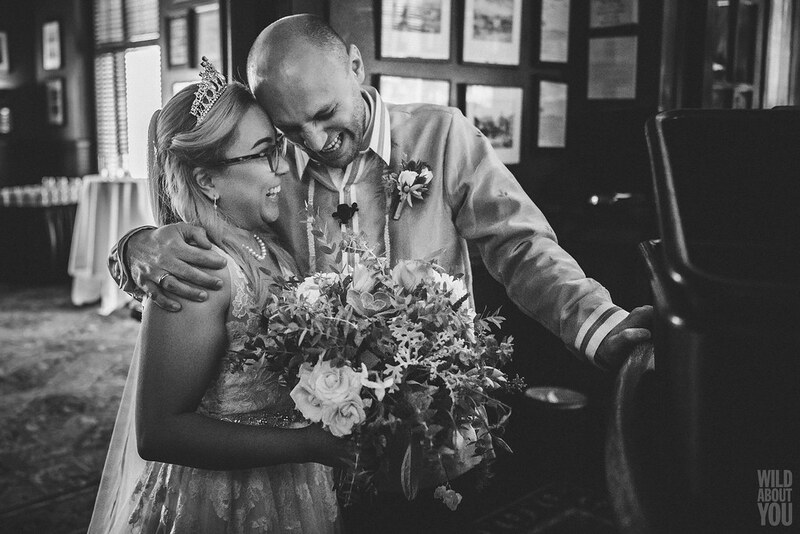 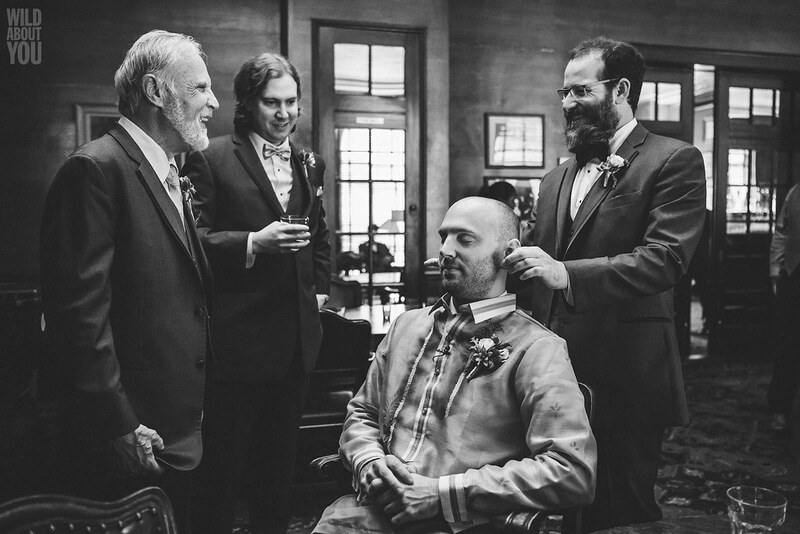 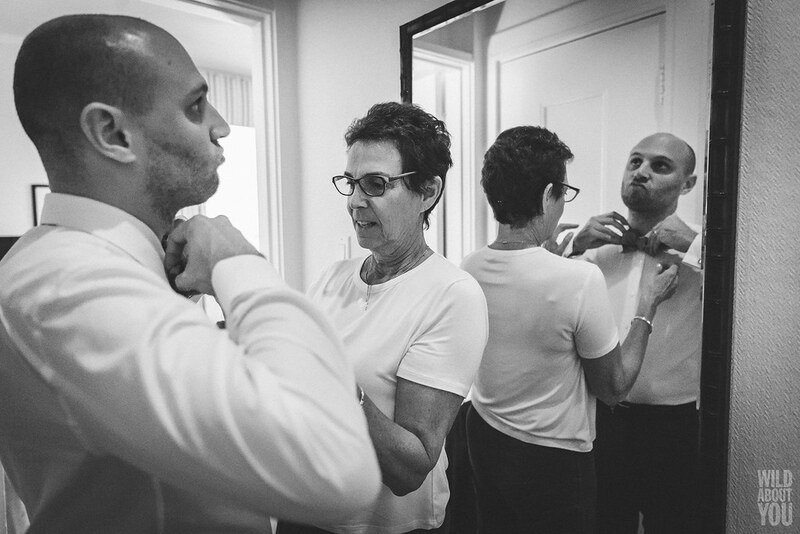 Their wedding day itself was a whirlwind of love, laughter, tears, excitement, and awe. 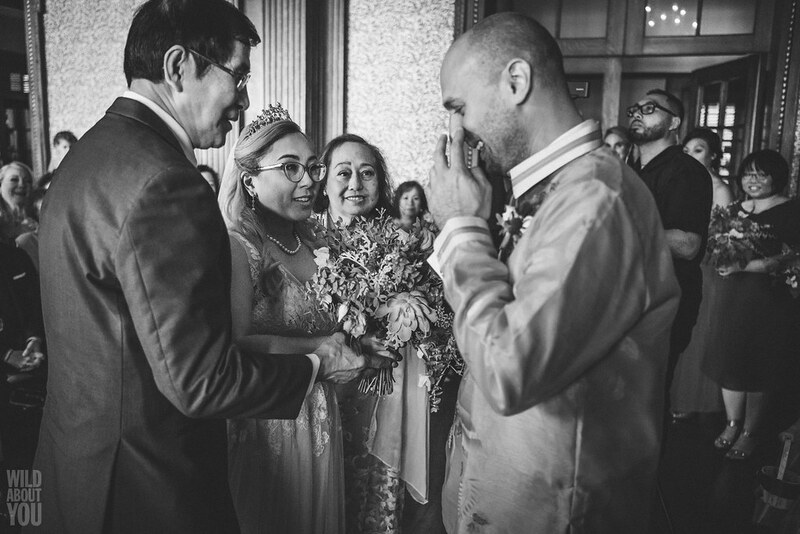 Christel’s favorite moments were seeing Matt for the first time with the barong on, how funny and awesome Matt’s Uncle Steve was as their officiant, their vows, their first pinball game together (Tron), their first dance (“Can’t Help Falling in Love” by Elvis), feeding each other donuts, and the hora (“being up on the chairs was the most terrifying thing but also had so much fun!”). 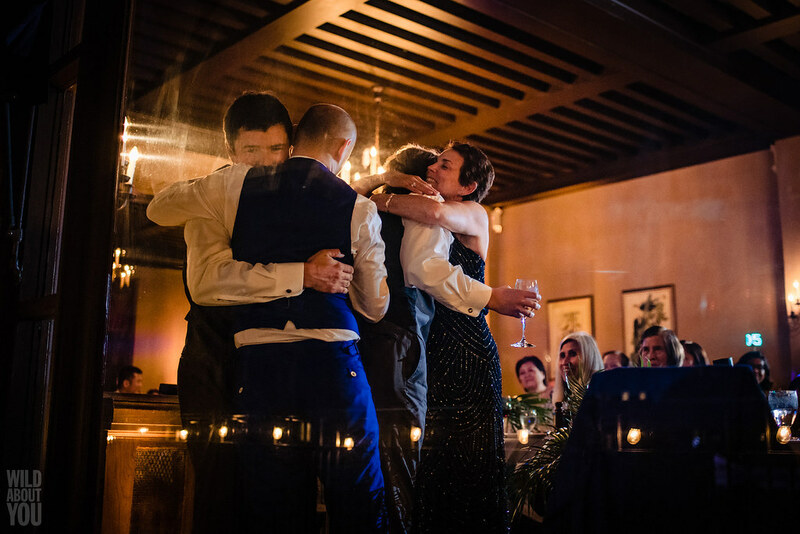 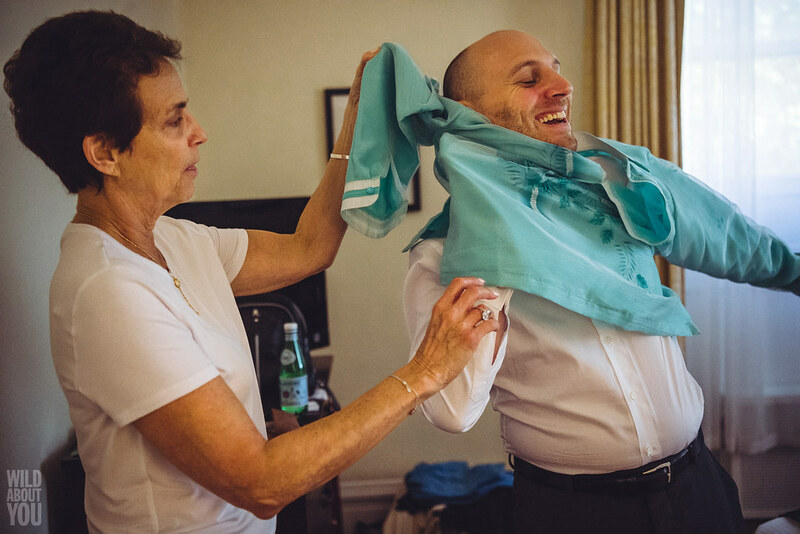 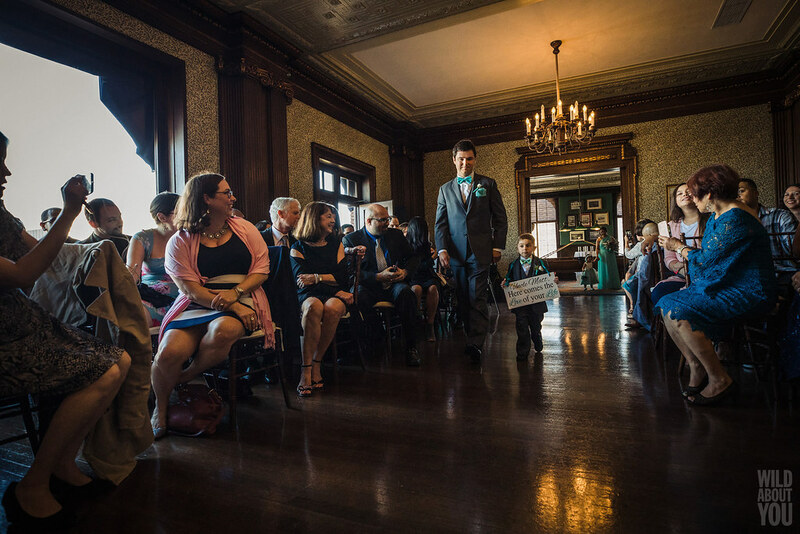 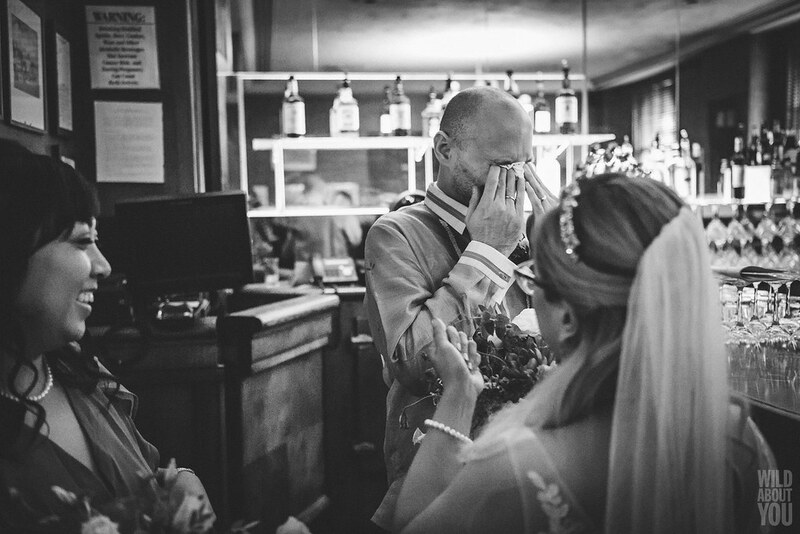 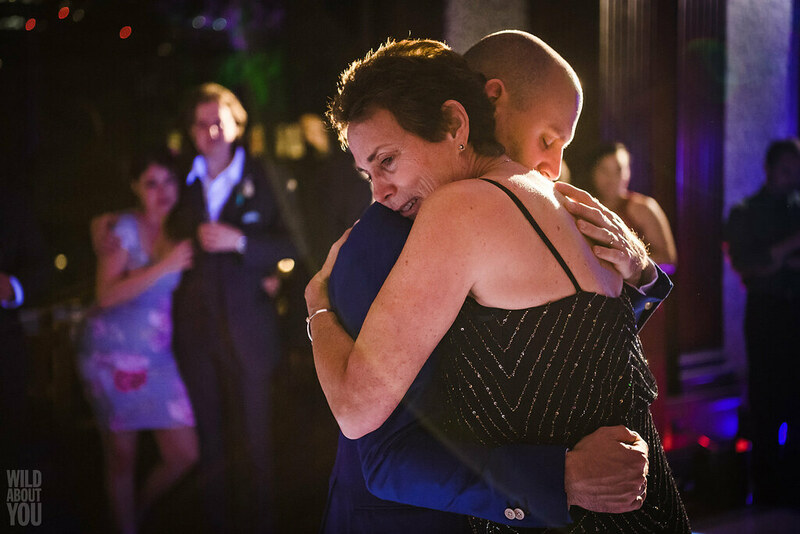 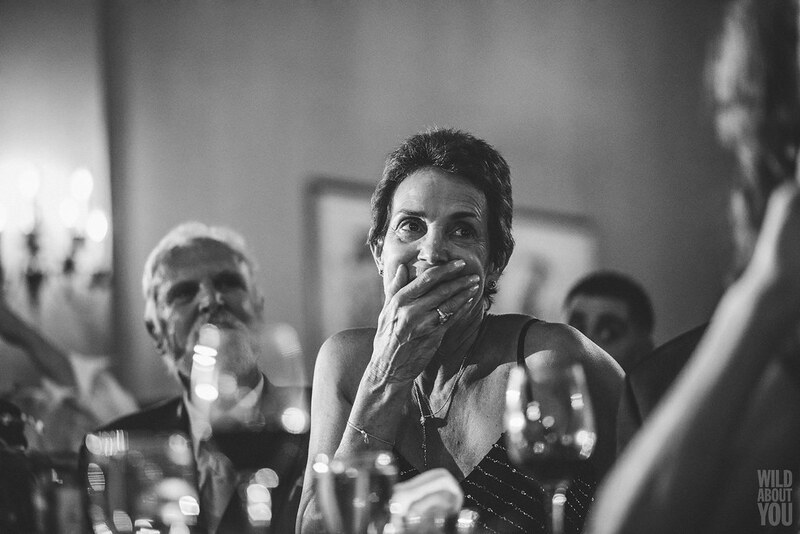 Matt’s favorite moments were seeing Christel for the first time in her dress coming down the aisle (tears! 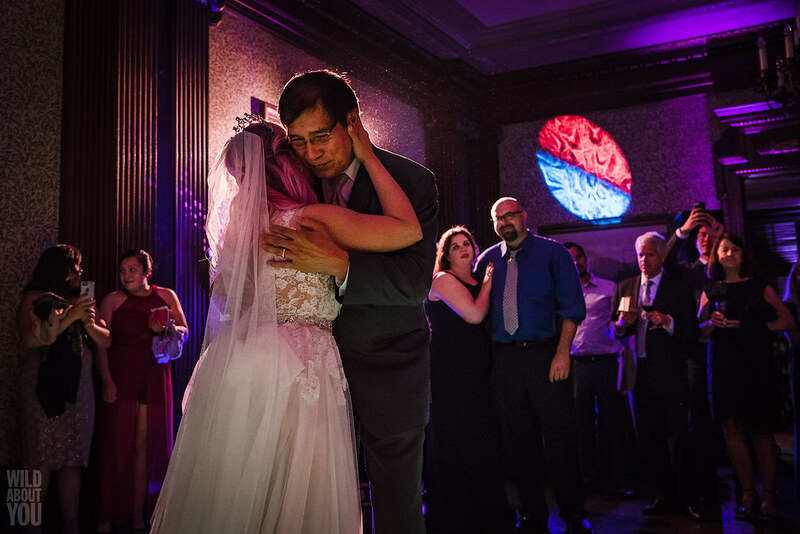 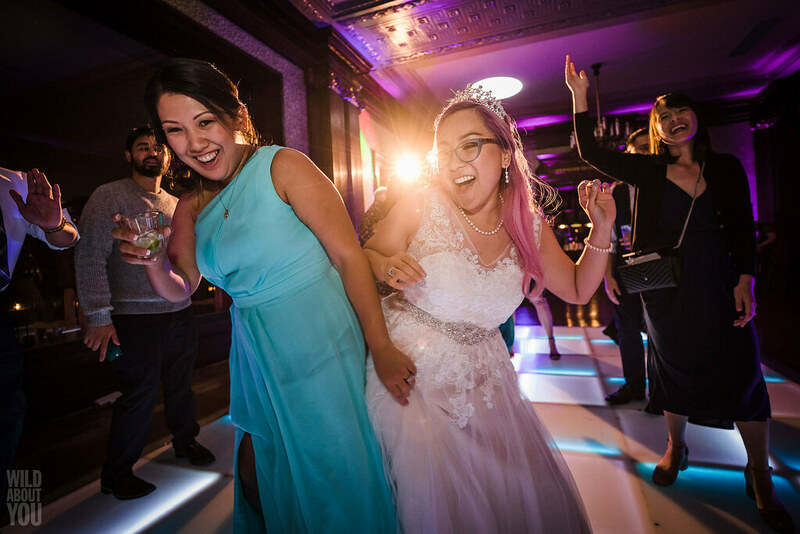 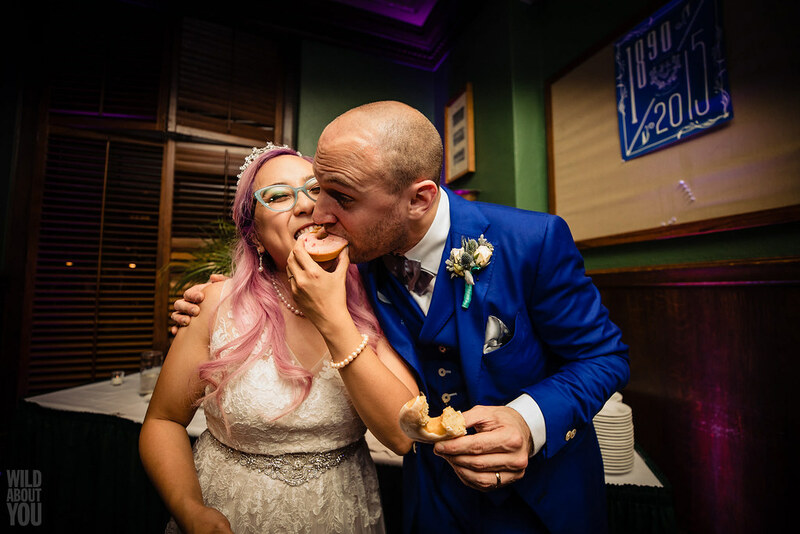 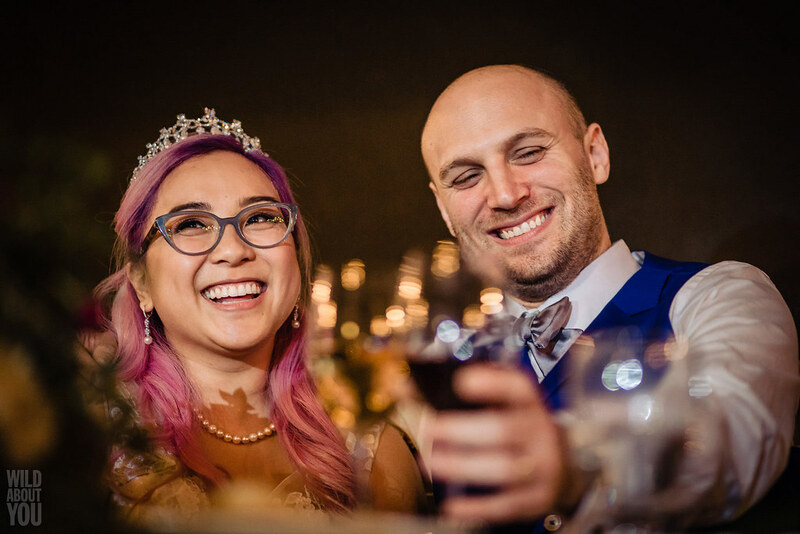 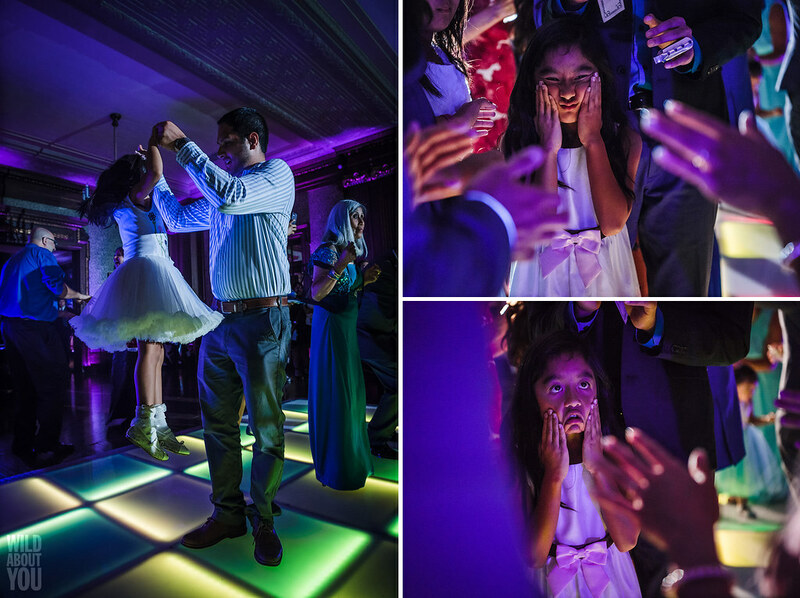 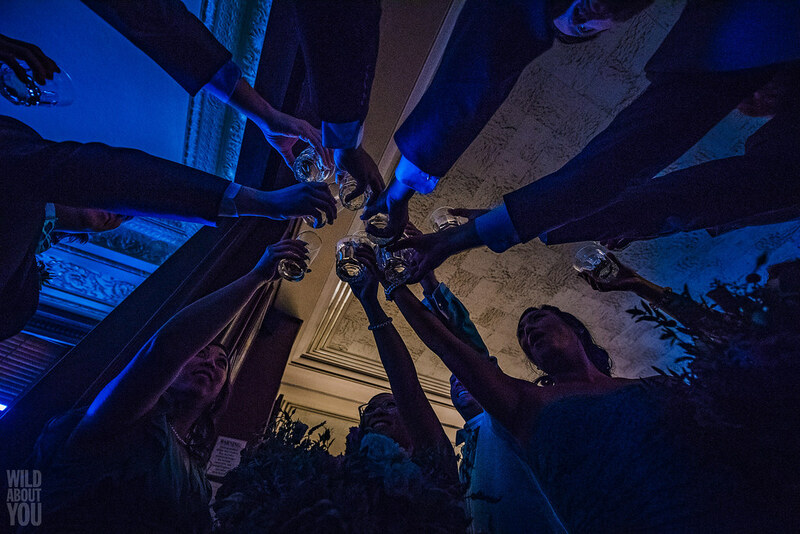 ), doing tequila shots right after the ceremony, the toasts, dancing the hora and going up in the chair with Christel, the insane LED dancefloor of their “arcade,” their first pinball game, and their first dance. 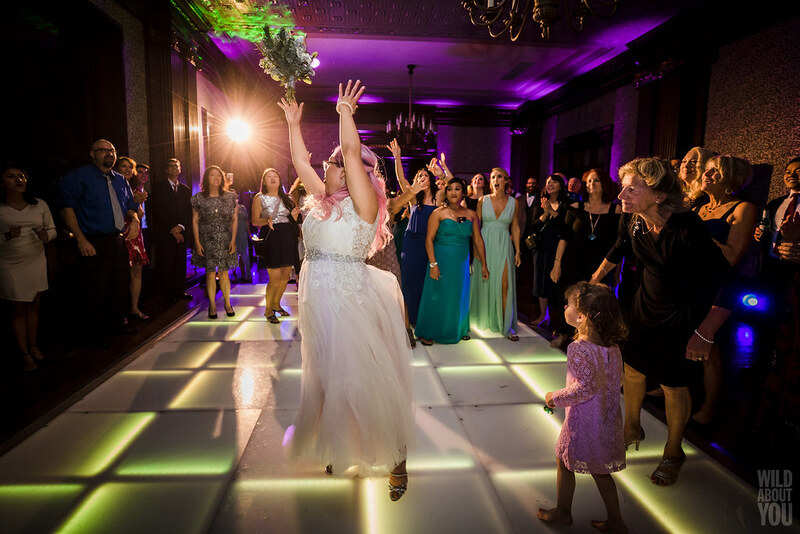 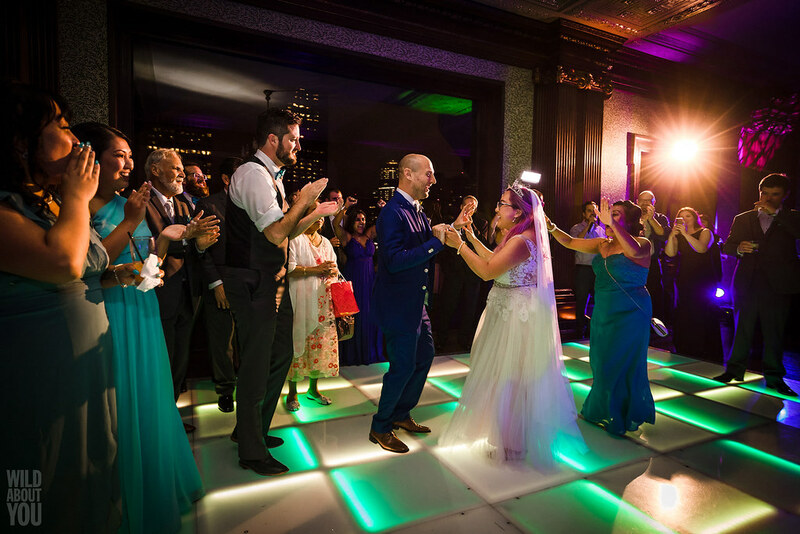 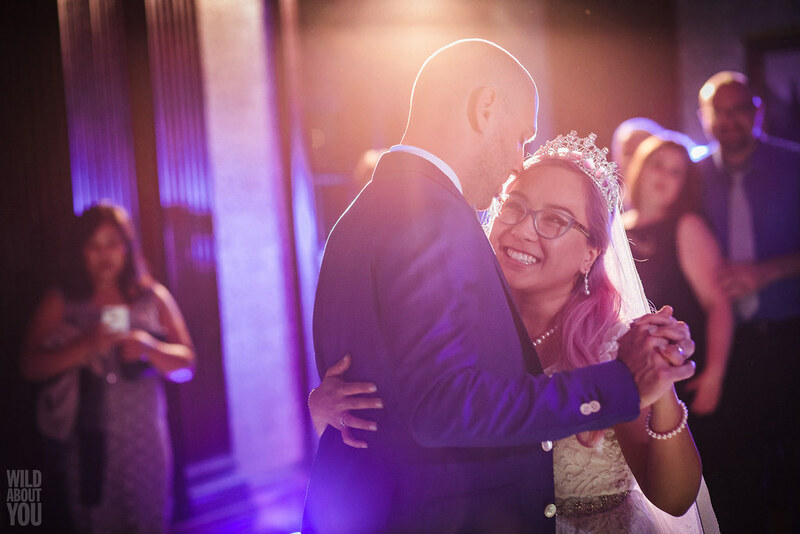 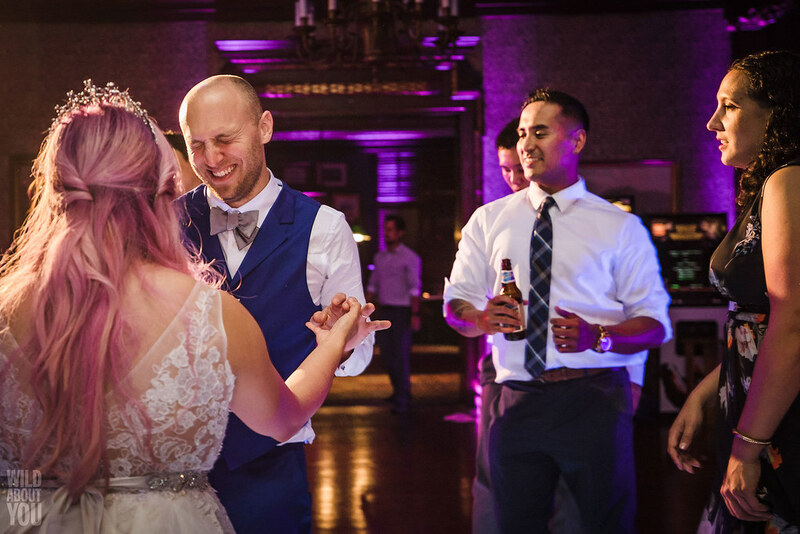 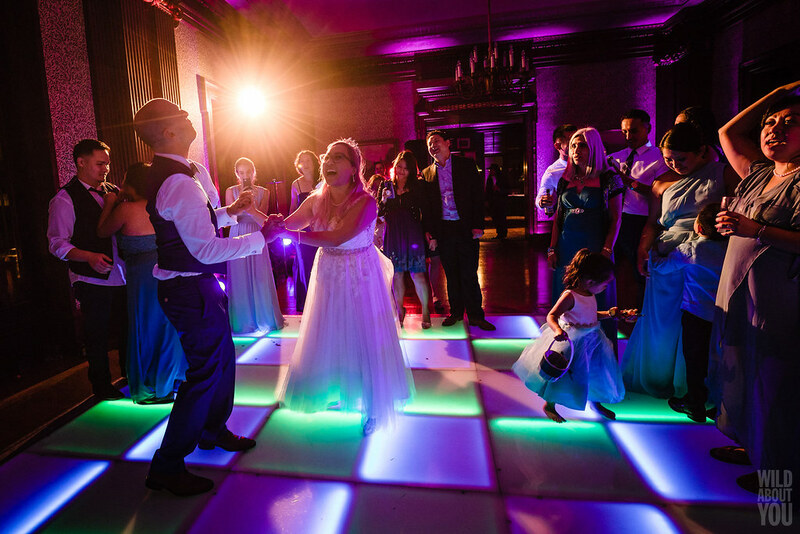 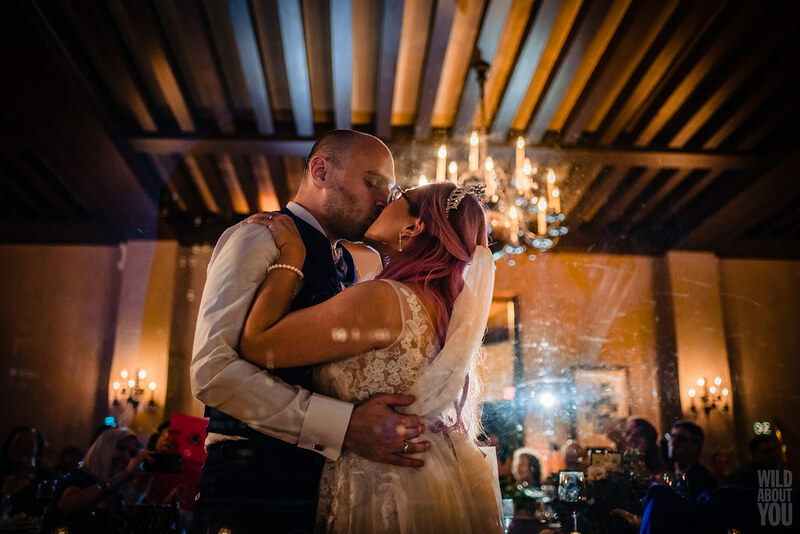 “We both loved all the smiles on all the faces of our guests throughout the ceremony and reception. 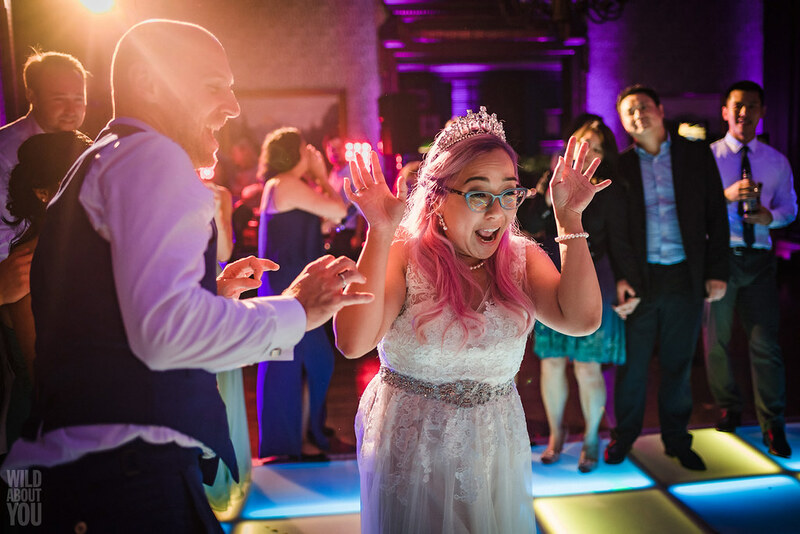 And, at the end of the night, while completely drunk, barking and meowing along to a cover version of Owl City’s ‘Fireflies’ with cat and dog sounds, also known as ‘that dumb song fireflies with dog and cat instead of person‘!” they say. 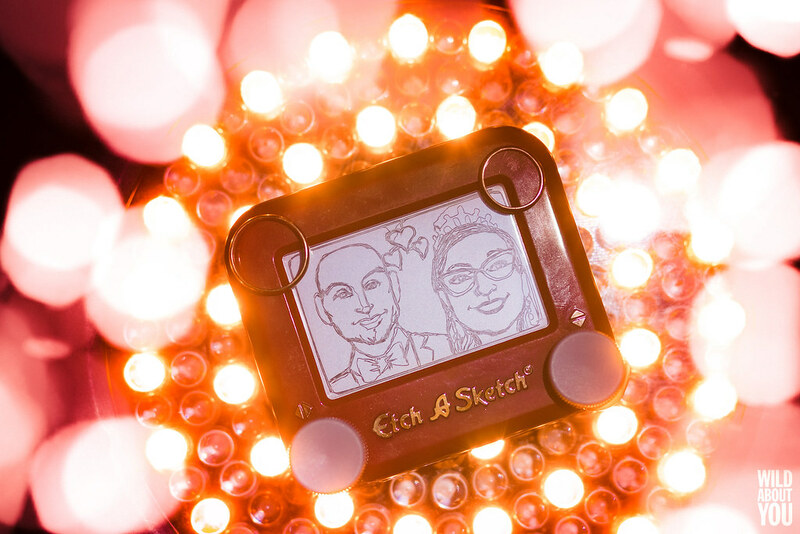 Happily, the newlyweds managed to sneak off for ten minutes during the arcade dance party to get their portrait drawn on a mini Etch a Sketch (apparently it’s another one of Christel’s many talents! 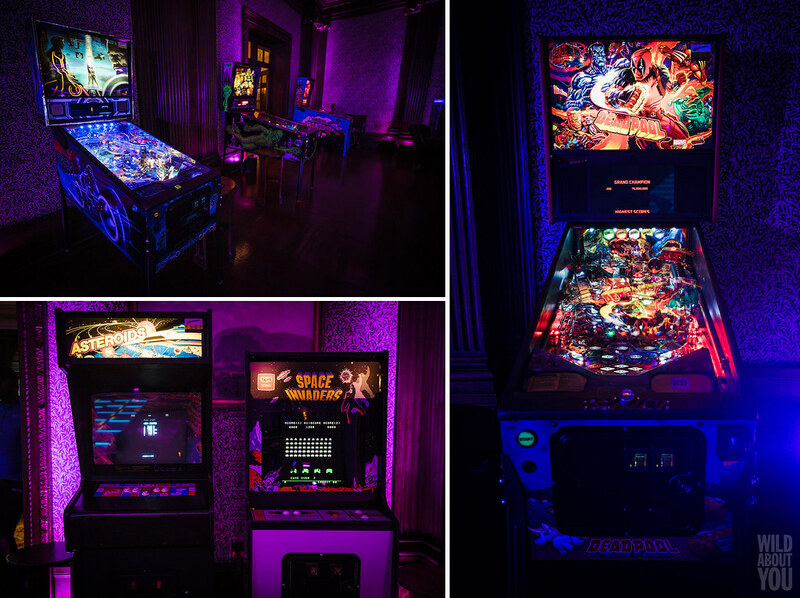 ), which was a real treat to behold. 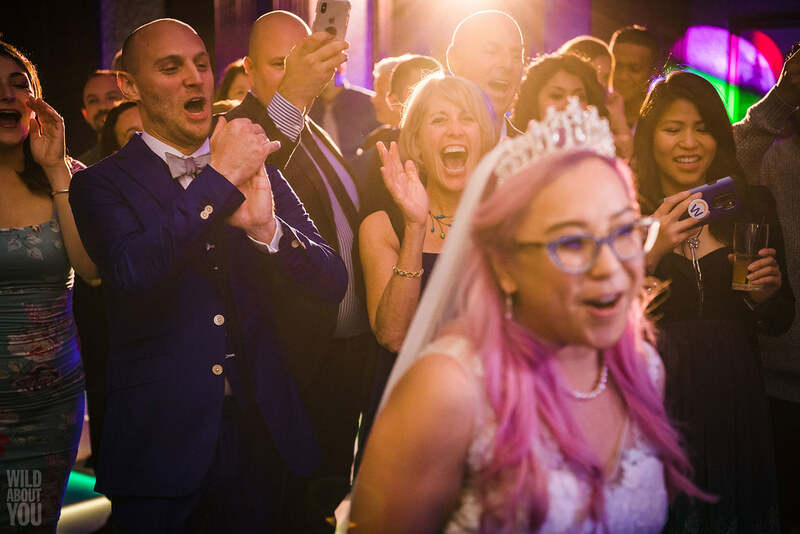 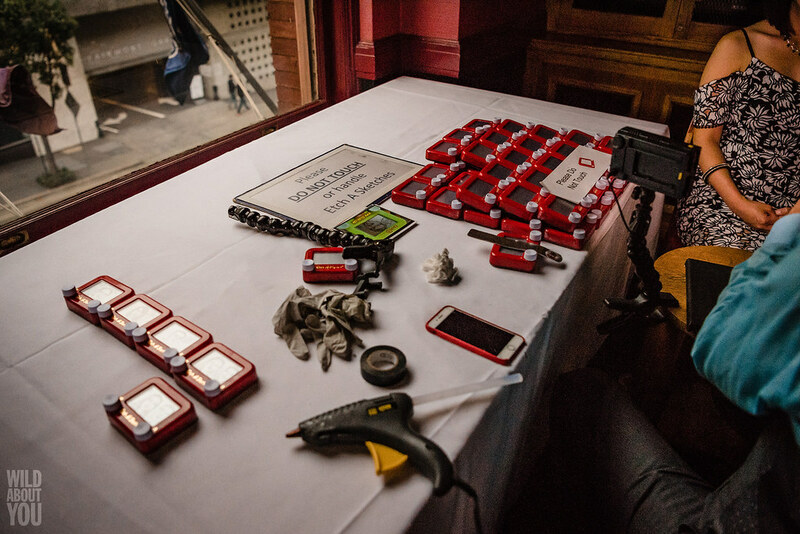 We’re honored to have been privy to such an incredible milestone and are proud to share this brief look into that day.